2000 Olympic City and home to the Sydney Opera House and Harbour Bridge. 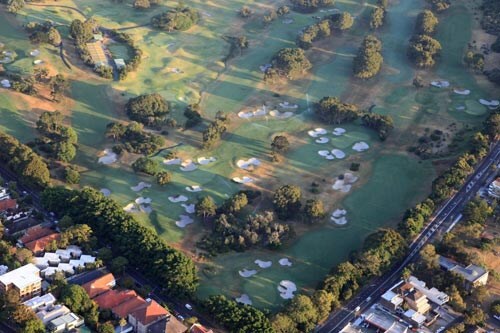 NSW Golf Club, The Lakes, Concord, and Terrey Hills are notable courses. 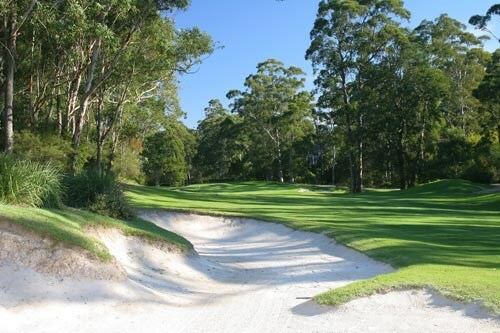 The Avondale golf course, founded in 1926, is set in the leafy suburb of Pymble on Sydney's north shore and is one of the most peaceful courses in the metropolitan area. There are no major roads on the course's boundaries and the feeling of tranquility is apparent from the time you enter the very understated entance. Shorter than most championship courses, trees play a big part here and accuracy is essential. The layout starts innocently enough but gradually builds up into a toughness that makes even the finest golfer think clearly and positively. 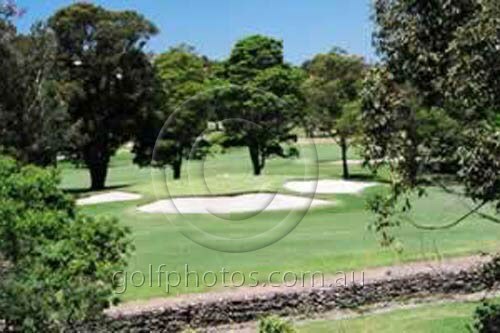 The Avondale golf course, founded in 1926, is set in the leafy suburb of Pymble on Sydney's north shore and is one of the most peaceful courses in the metropolitan area. There are no major roads on the course's boundaries and the feeling of tranquility is apparent from the time you enter the very understated entance. This delightful atmosphere allows the golfer to play with very few distractions and she or he can concentrate on their game and their tussle with the course without the intrusions of outside noises. Shorter than most championship courses, trees play a big part here and accuracy is essential. The layout starts innocently enough but gradually builds up into a toughness that makes even the finest golfer think clearly and positively. 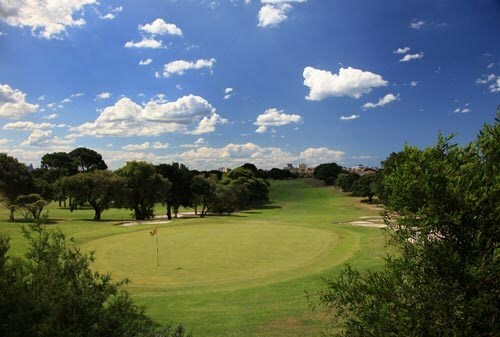 A number of memorable and challenging par 3 holes provide the basis for an enjoyable round. The long par 5 holes provide a visual feast but the golfer still needs to concentrate on the primary taks at hand - securing a par or better! 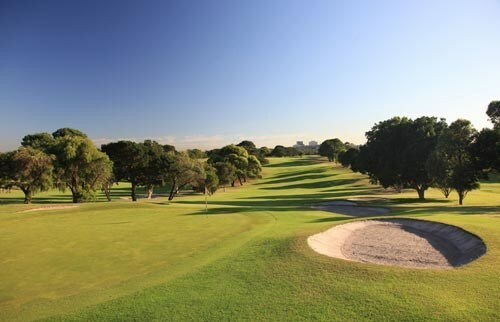 Play anywhere close to your handicap at Avondale and you'll drive away a very happy player. Your opening tee shot is best played 200 metres straight at the bunker through the fairway, leaving a short approach to a green guarded by steep slopes short and left. The longer hitter can take the bunkers on but if tee shot is off line you will be well penalised. A mid-length Par 3 guarded by deep bunkers and hazards left of this two tiered green. A long Par 5 where players need to favour the right-hand of the fairway as everything feeds left. The longer hitter can reach in two on a good day, else laying up short of the cross bunkers will leave a pitch to this long, multi-levered green. An uphill Par 3 with bunkers and OOB left of the green. Take one more club than you think to get to the back flag. A tee shot up the left-hand side to avoid the bunkers sets up a mid-iron approach where all of the trouble is right of the green. Another tee shot up the left to avoid the bunkers and give the best angle to the green. A large tier leads to a small back shelf which is guarded by bunkers on both sides. Some respite with a manageable Par 5 in which longer hitters can carry the bunkers off the tee, leaving a downhill approach. Shorter hitters must avoid the bunkers, leaving a second shot over the rise that will run down the hill. Avoid missing the Green long right as it is treacherous. A challenging uphill Par 3 surrounded by bunkers. Bail out is short right but be sure to miss the cavernous front bunker! Shorter hitters need to aim down the right-hand side to miss punishing fairway traps, where long hitters can take it over or get the ball moving right to left around them to get a good look at the green. An uphill second shot is littered with bunkers that must be avoided before tackling this sizeable "L" shape green. A 200 metre tee shot to the plateau on the right keeps your ball away from the OOB and trouble left. Players can afford to take one less club for this picturesque downhill approach. Do not be short with your approach as ball will roll well down to the bottom of the hill, leaving extremely difficult pitch shot. A demanding uphill Par 3 over the road with bunkers on the left and overhanging trees on the right. Par is a great result here. A straight away par 4 with a bunker protecting the right edge of fairway. The longer hitter can fly this bunker off the tee. The approach into this green can be either a high shot over the front bunker or can be chased up the front left portion as the land runs from left to right. The ideal position from the tee is a shot 220 metres right of centre, which will leave you a short approach into a generous green. The main danger is the deep bunkers on the greenside left. A generous landing area off the tee and for a longer hitter they can take on the corner to then attack the green. The lay up for hte second shot is before the large bunker on the left which will then leave you a short iron shot into a tiered green that slopes from front to back. A mid length par 3 demanding a high shot over the two large bunkers guarding the green. Any shot missed left or right will run down the swales leaving a delicate chip back up the slope. A very testing hole. It demands a very accurate long tee shot to a narrowing fairway. Keep approach shot to right-hand side as the left side of green runs severely away and will leave a difficult up and down. A real risk and reward hole. 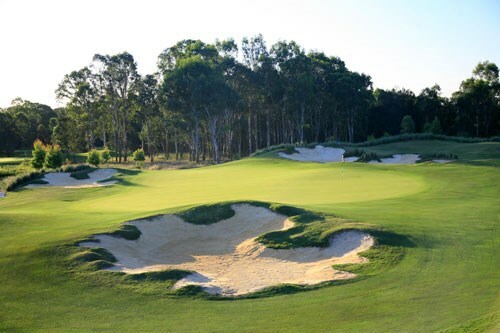 This can be played two different ways; one being a lay up over the hill and short of the bunkers or a longer hitter can attack the green which is guarded by deep bunkers and thick bushland. 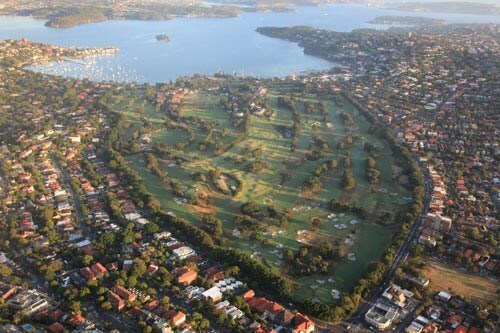 One of the most challenging finishing holes in Sydney. Demands strong tee shot up left-hand side that will need to go 230 metres to sight green, otherwise play right-hand side and leave long iron or possible fairway wood to two-tiered green guarded by deep bunkers. 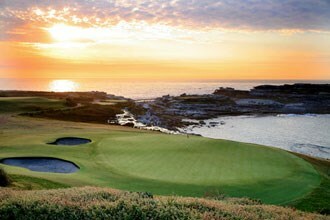 Par here and you will enjoy the 19th even more. 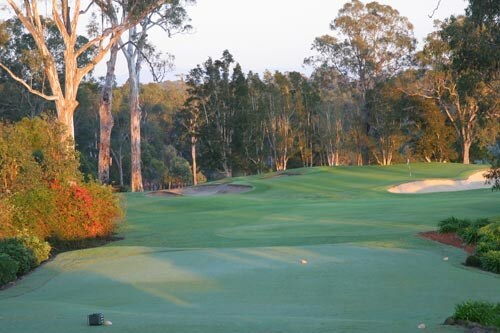 Bonnie Doon's par 71 championship course is a stern test of golf for players of all standards. 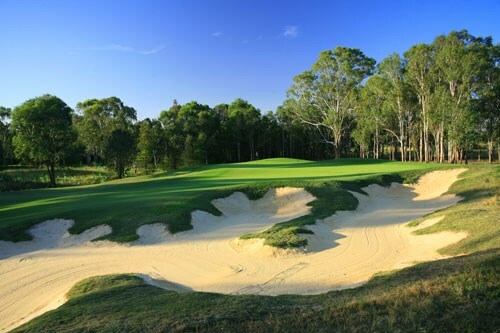 Though not overly long in comparison to new golf courses, the strength of the course lies in its strong par 4's and slick firm greens, that have long been recognised amongst the best putting surfaces in NSW. 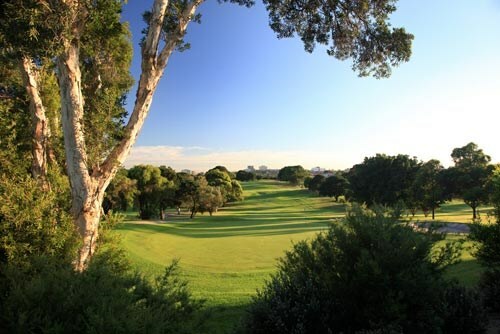 Elevated tees and greens, offering sweeping views of the city, are a key feature of the course design, which emphasises the rugged natural beauty of the surrounding landscape. 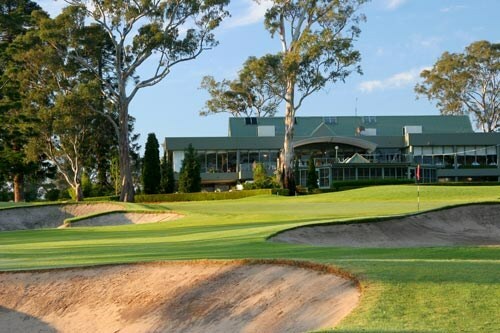 Founded in 1897, Bonnie Doon is Sydney's third oldest golf club and one of the oldest in Australia. 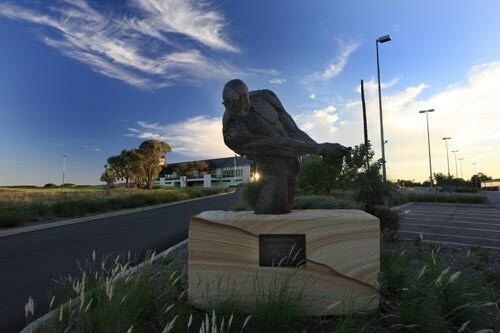 The championship group one golf course has been redesigned by the Ogilvy Clayton team which includes Michael Clayton and 2006 US Open Champion Geoff Ogilvy. 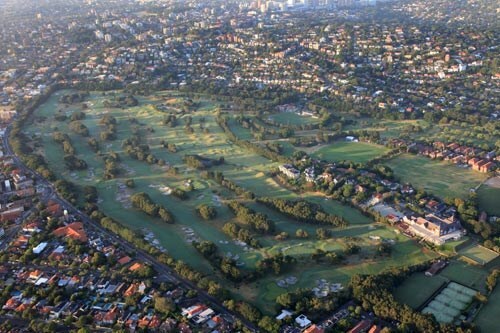 This redesign has restored Bonnie Doon to its place amongst Sydney's elite. 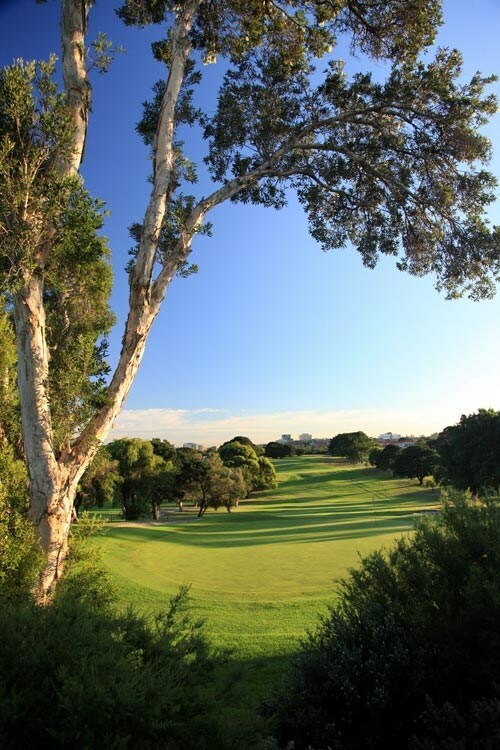 Bonnie Doon's par 70 championship course is a stern test of golf for players of all standards. The open links style layout is deceptively difficult. 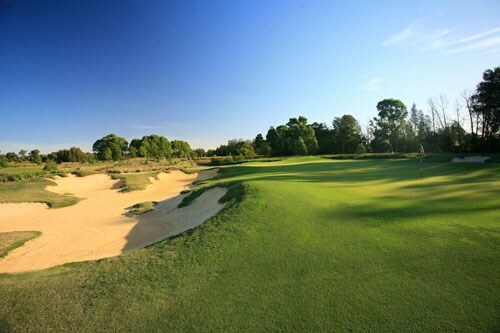 Though not overly long in comparison, the strength of the course lies in its strong par 4’s, slick greens – many with pronounced undulations – and strategic bunkering. 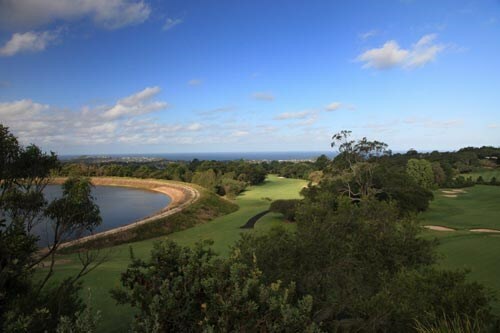 Elevated tees and greens provide sweeping views of the Sydney city skyline and are a key feature of the course design, which emphasises the rugged natural beauty reminiscent of many Melbourne sandbelt courses. 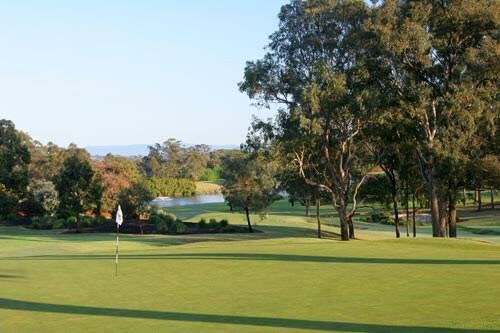 Bonnie Doon Golf Club is located only 15 minutes from the Sydney CBD and 10 minutes from Sydney International Airport. The club welcomes visitors on Tuesday, Thursday and Fridays, subject to availability. 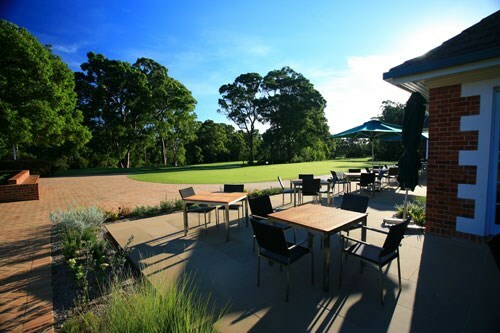 Bonnie Doon prides itself on being one of Sydney's leading corporate golf venues, catering for groups from 12 up to 280 people. 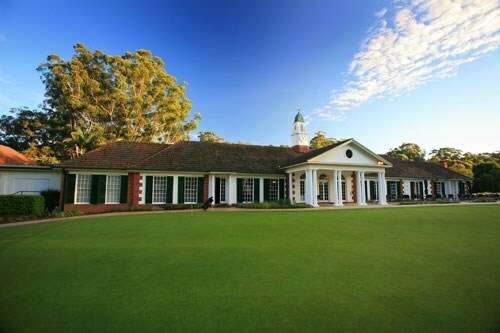 Established in 1993, Camden Lakeside Country Club has become one of Sydney's top Resort Golf Course and Function Centre facility. 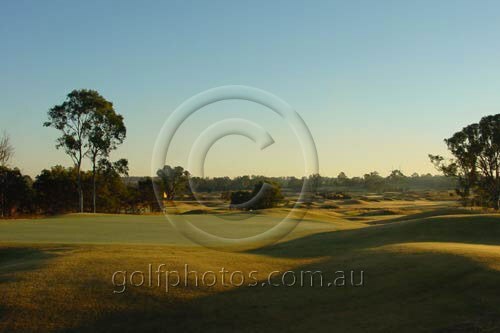 Open undulating fairways, hollows and pot bunkers are features here. Peter Thomson, a winner of 5 British Opens and designer of many fine international courses, including the newly opened Dukes course opposite St. Andrews in Scotland, has really brought a touch of Scotland with him to this fine course. 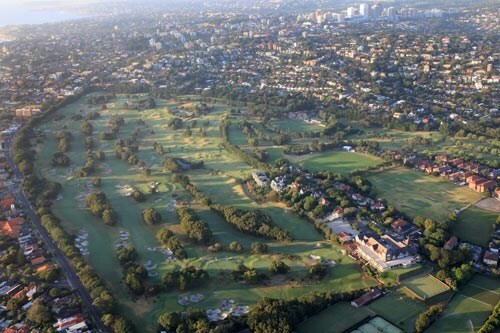 One of Sydney's newest championship golf courses, Camden is crafted with respect for golf's heritage while embracing modern technology and landscaping techniques. The course returns players to the origins of the game which began on the coastal links of Scotland. 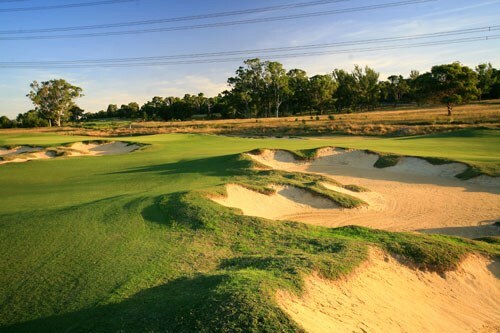 Open undulating fairways, hollows and pot bunkers are features here. Peter Thomson, a winner of 5 British Opens and designer of many fine international courses, including the newly opened Dukes course opposite St. Andrews in Scotland, has really brought a touch of Scotland with him to this fine course. As usual wind is a strong feature at this course and the golfer can often find himself in one of the huge pot bunkers where the green is not even visible. 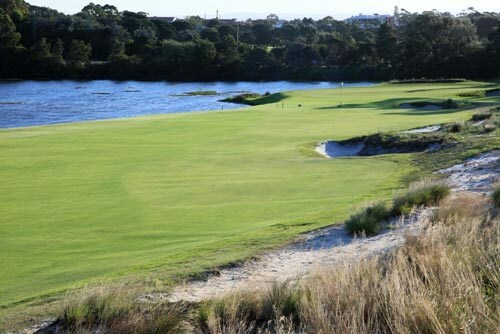 Camden Lakeside is a top 100 ranked Australian course and is a true test and a genuine links experience. 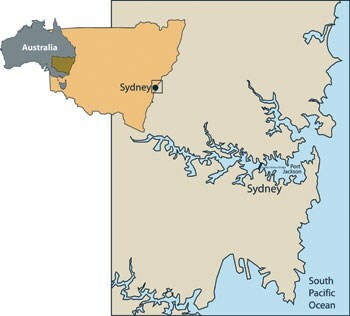 It is located approximately 40 minutes from the centre of Sydney. The opening hole of Camden Lakeside fits neatly into the philosophy of the designers: that true championship courses reward the strategic player over the long hitter. This par 4 requires a careful tee shot down a gentle slope, which may be better accomplished with a 2 or 3 iron. The green lies over a deep creek and between two pot bunkers. 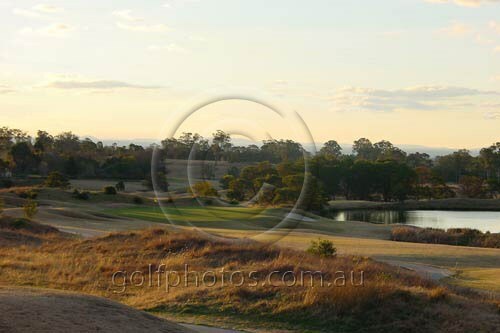 This hole climbs over a hill and calls for a second shot to a narrow neck of the fairway. The green is built in an elliptical shape across a shallow swale and faces the golfer at an oblique angle, requiring a high approach shot. The golfer will find this a delightful view from the tee. A small pond lies to the left and a larger one well to the right. The green is set among tussocked mounds and is not bunkered, though a decent slice will find a watery grave. This is the first of the course's distinctly links like holes. It passes to the left of an elongated lake and proceeds to the small green tucked neatly into the side of a hill and protected by a creek and two pot bunkers, much more like the first green. 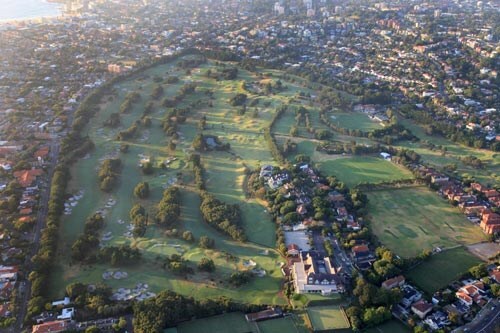 From the highest point on the course the golfer tees off to a wide fairway in view of the historic Gledswood Homestead. This par 5 boasts three fairway bunkers and a slightly elevated green surrounded by more tussocked mounds. A par 4 that evokes memories of the famous La Hynch course in Ireland. One third of the way down the fairway lies a large mound which obscures any view of the green. This "buried elephant" can be avoided by aiming left or - with a north wind - can be overcome with a hefty tee shot. After dealing with this obstacle the golfer is rewarded with a welcoming green. This quintessential links hole runs parallel to the sixth but back towards the clubhouse. 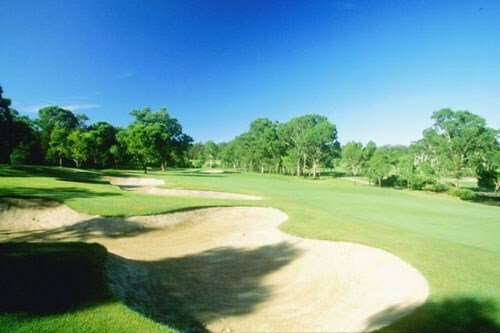 The golfer must avoid three pot bunkers on the left and one on the right with the tee shot. Thereafter the fairway bends gently to the left, crosses a shallow swale, and calls for an approach shot to a green that rises ever so gradually from the rising slope. Beware of the deep pot bunker to the right of the green. A par 4 that follows a slight downslope, a lake on the right, to a suddenly elevated green surrounded by deep grassy hollows. The view of the clubhouse and eighteenth across the lake is possibly the best on the course late in the afternoon. 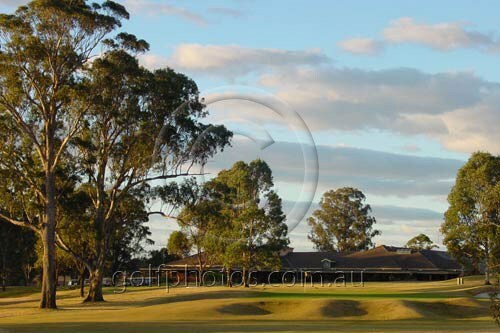 Wth the clubhouse in the background, the golfer aims to a green set amid tall cumberland eucalypts. This is perhaps the most welcoming of Camden Lakesides four par 3 holes, though at 198m it is a challenge in a north wind. This par 4 is an easy way to begin the second nine, offering a wide fairway and a gentle green, framed between two tall trees and set among some shallow hollows. Heading away from the forested portion of the course the golfer once again finds the links landscape to deal with. This par 5 requires the strategic thinking rather than the brute force and should reward those who resist the temptation to hit their ball with all their might. Taking care not to slice into the lake on the right, the golfer will enjoy the undulating nature of the fairway on this inviting par 4. On approaching the green, however, care must be taken to avoid the stream that runs across in front. A par 5 running almost the length of the far boundary of the course. On both sides of the fairway great mounds offer some danger for the wayward tee shot. The raised green lies across another of Camden Lakesides characteristic swales. Second-last of the par 3 holes, this offers a delightful vista from the tees across a tiny pond to a well bunkered green built into a group of mounds. Being on top of a knoll this is vulnerable to strong winds and requires a steady nerve from the tee. For the well travelled golfer this par 4 will appear immediatley as a masterful act of design. 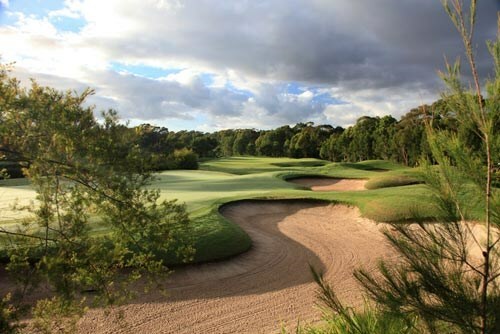 With its fairway bunkers built into the whiskered mounds and its greens lying back behind another wicked pot bunker, a par score on this hole will bring the golfer special pleasure. It may well become Camden Lakesides signature hole. The last of the par 3 holes, this one may intimidate some with the lake and wetlands to the right and its deep bunkers to the left. But a well struck mid-iron will find its own reward, and putting should be generally straightforward. This is the most testing hole in terms of length, and is plainly difficult to make par. But it does not therefore reward the long hitters among us in that it calls for extreme precision of aim. 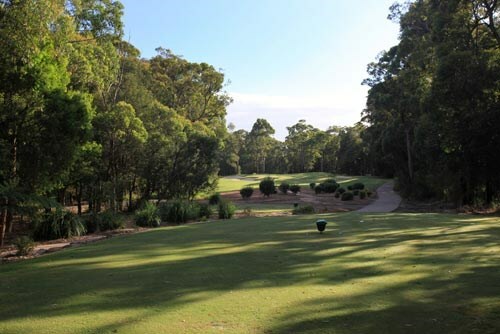 After avoiding the pot bunkers set either side of the fairway, the golfer must hit dead straight to a generous green set in a copse of banksia trees. Described as a "Glory or Death" hole, the par 4 eighteenth offers a rare opportunity to fire over one corner of the course's central lake in order to finish in front of the greenland thus gain a large advantage. The more conservative golfer will aim for the fairway and look to a seven iron to get to the green. 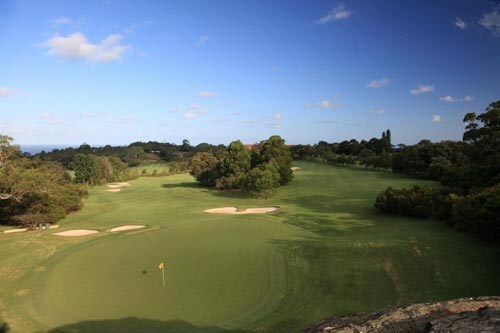 A picturesque spacious 18 hole, par 72 championship course, Castle Hill Country Club is situated on 167 acres of once farming land. 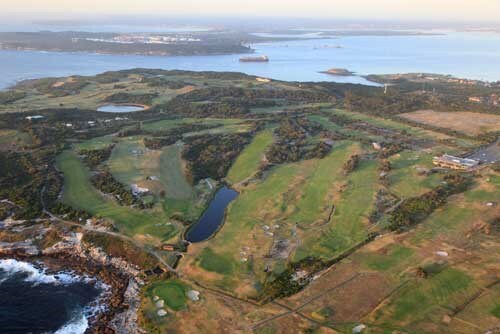 Over the last few years the course has undergone extensive improvements, which have turned it into one of the top championship courses in Sydney, if not New South Wales. It holds many challenges for golfers of all levels with a number of water hazards and sand bunkers. 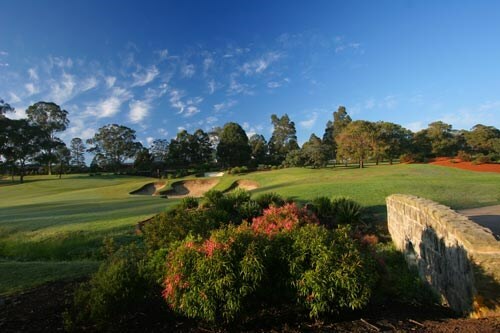 Castle Hill Country Club is located just over half an hour drive from the Sydney CBD and is a private member's course which has hosted a number of National tournaments including the Canon Challenge. The course is a picturesque, spacious 18 hole, par 72 championship course measuring 6187 metres and situated on 67h (167 acres) of once farming land. The course comprises 4 par 3's, 10 par 4's and 4 par 5's and challenges golfers of all levels providing a testing but fair round of golf. No less than 12 water hazards line the course requiring the golfer to think about all shots - from tee shots over water to delicate approach shots where a watery grave meets all but the perfectly executed shot. 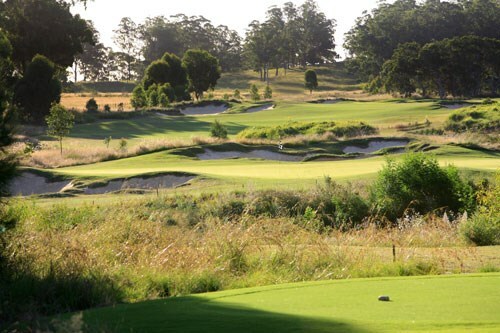 Over the last few years the course has undergone extensive improvements, which have turned it into one of the top championship courses in Sydney, if not New South Wales. 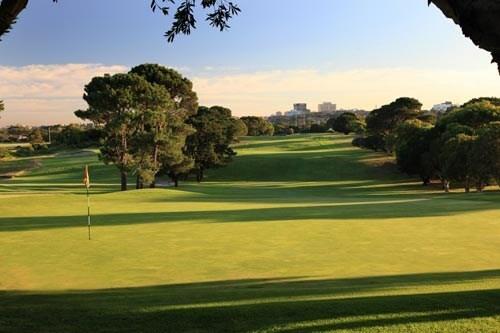 The Club has access to recycled water meaning the course is in peak condition all year round with superb putting surfaces. 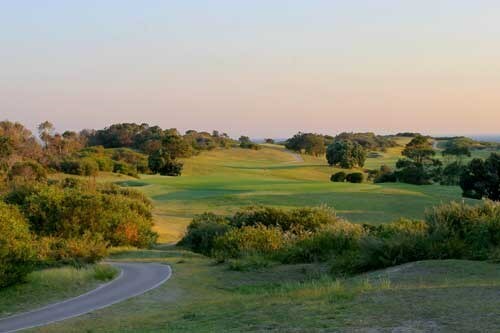 The course is also blessed with many holes that will stay in your mind for a long time after you have played the course. Distance is not the challenge on this opening hole but you must stay on line, warm up and take your most reliable club off the tee. Heavy bunkering short and around the green make a lay up advisable. The green is three clubs deep, note pin position! A testing par 3 especially from the full length. 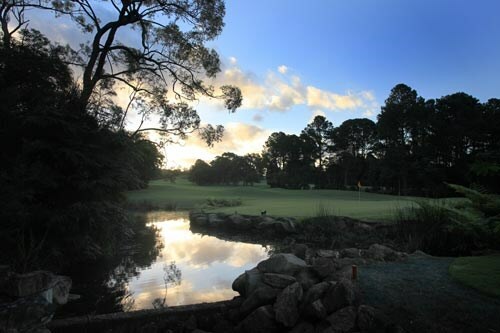 Water left of the green and bunkers short and right call for a straight tee shot; take plenty of club swing easy. Note pin position - another deep green! Safety play is to the meat of the green and two putts. Right centre fairway off the tee gives extra roll and avoids the kikuyu rough left. Another long green 4 clubs deep. Any shot landing short may stop short due to the slope and softer ground. A putt from back green in summer is extremely fast - be under the pin. A simple par 3 with a nasty habit of collecting balls in the bunkers left and right. Play for centre green for safety especially with the pin cut left and back or behind the right hand bunkers. Green slopes from back to front. Except for very long hitters this hole must be played as a par 5. With pin cut left leave your second shot out to the right. Plan for a full short iron into the green. A substantial swale divides the green - be on the same side as the pin. With bunkers front green and water behind, going for the green is fraught with danger. Take the bunkers out of play by hitting your tee shot to the right or clubbing back. Carefully check distance for your second shot to avoid going over into the hazzard or coming up short. A good drive required here to put you in range for two but again, a straight shot is more important. With bunkers short and left a safe line in is to right green. Beware more sand behind the green. The subtle borrows on this green need a careful read. Centre to right centre fairway off the tee is important; anything left may be blocked. Take one club less than distance requires for the second shot; the ball will run on. Chipping back from left or back of green is made tough by fluffy grass. Right and centre fairway is a good line for the tee shot guarding against the bunkers and giving you extra roll with the fairway slope. An undulating green which is very fast when putting from the back makes recovering from an overhit second shot difficult. A good par 3 with the water short of the green very much in play especially with the pin cut right. Check for wind and club accordingly to be certain of being up - don't force! Bail out area is short for a chip and putt for par. Important not to go left of the tee here or you will be blocked. Take the fairway bunkers and creek out of play by 'clubbing back' on the tee shot leaving a simple short iron in for your par. Long hitters can 'go for the green' but it's risky. This hole toughens up considerably with the pin cut and back making for a full carry into the green. A drive down the 18th fairway is an option but trees may block your second. With a shortish tee shot, bail out area for the second is short and left. Aim straight at the big gum with a fade if possible. This opens up the green and avoids the corner bunker. Aim the second shot at the 'entrance' to the green avoiding the bunker, the ball will kick left onto the green. Green also slopes severely from left to right. Water in range off the tee for long hitters, drive needs to be centre to left centre fairway. Safer to lay up short of the bunkers for your second. Your ball may roll right back down if it lands short of the pin on your shot in - be up. This green can be reached by long hitters but sand short and long grass behind make it risky. Club off the tee to be short of the water left on the flat part of the fairway short of the bunkers for an easy second. Green slopes back to front and is fast in summer. One of the best par 3s on the course. The water is only there to 'pshyc' you out. Check for wind and pin position; select your club and swing smoothly to be safely on the green. Front half of the left side of green slopes severely from back to front. No need for length off the tee on this severe dogleg double water carry. Keep tee shot straight then a smooth fairway wood across will leave you nicely in range. 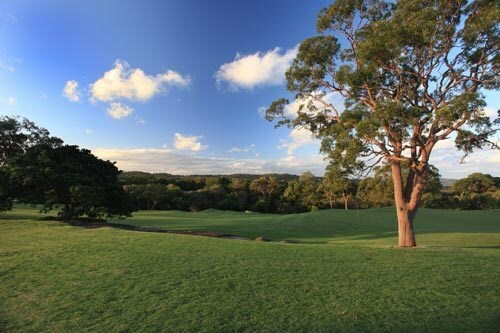 Situated just 45 minutes from the city, Elanora Country Club is home to one of Sydney's premier golf courses. 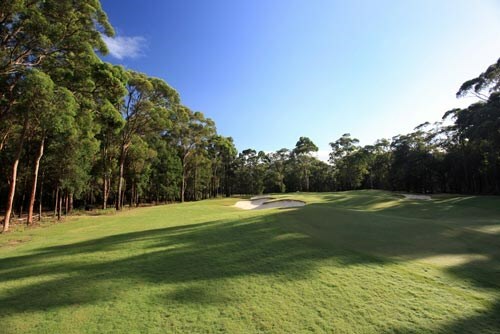 Nestled in a classic bushland setting with captivating views of the Northern Beaches, Elanora is a very private members course with access limited only to members and guests. The course has recently been remodelled by James Wilcher who has done an outstanding job in remodelling the layout to take full advantage of the natural vegetation and undulating lay of the land. From the tee play left of the fairway bunkers on the right and endeavour to be as long off the tee as possible. For the longer hitter it is possible to reach the green in two but extreme care should be taken as anything right will find the hazard. It is best to play short of the fairway bunkers aiming a little left to provide a relatively straightforward shot to the green. A long drive will carry the fairway bunker on the right but care should be taken and it is best to play short if unsure as to whether it can be carried or not. The second shot is played to a large green which runs at right angles to the fairway. It is best to play your second shot a little long if you feel uncertain about what to play to carry the green side bunkers. Play right of the fairway bunkers to leave a fairly straightforward although long shot to the green. A very large green awaits you and it is important to be sure you play your shot to the right quadrant of the green as some very long and difficult putts can result if a wayward stroke is played to the wrong area. Quite a challenging par three. It is very important to be aware of where the pin is located and to ensure you play long enough to carry the water in front of the green side bunker on the right. Anything played too far right will end up in the water hazard which surrounds the most of the right hand side of the green. The tee shot should be aimed to the left of the fairway. Anything finding the right will make for a very difficult par. The second shot should be played though the gap in the trees being sure to avoid the fairway bunkers which run up most of the right side of the fairway. Care should be taken to establish where the pin is located as anything short or long will result in a difficult putt to the hole. Depending on which way the wind is blowing the hole will provide a considerable amount of variety off the tee. From the back marker most members will require a wood to be played. From the front however a shot played left centre will result in a fairly straight forward two putt for par. The best drive will be aimed straight up the fairway and fall short of the fairway bunkers on the right. The second should be aimed over the right hand edges of the bunkers on the left providing an easy access to a forgiving green. Be sure to check the wind before playing your shot as this can vary greatly from fairway to green. The best shot will be played centre right to avoid the fairway bunker on the left. The second straightforward shot, is best played to the centre right of the green. The area to the right and back will provide assistance to any shot played a little too far right. Anything played left of the green will find trouble resulting in a bogey at best. From the men's tee aim just left of the house on the hill. Use your driver to get as far down the fairway as possible. The second shot to the green will be from around the 150 metre mark. Aim just left of the green side bunker on the right and the ball should feed toward the centre of the green. The safest drive will be one that comes up short of the fairway bunker and finishes centre left of the fairway. 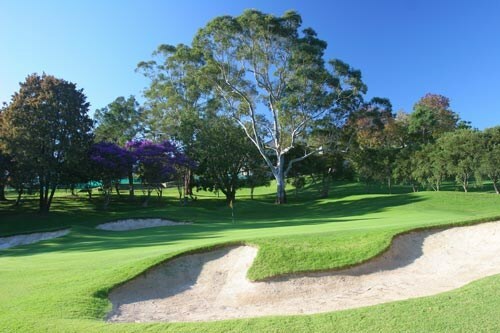 A strong fairway club will put you in the best position to approach the green which is heavily guarded by bunkers. A shot to the left portion of the green is the safest. For those wishing to carry the bunkers be sure to take enough club to carry the green side bunker which is hidden from view by the fairway bunker on the right. A long par three which is heavily bunkered to the left and right. A solid long iron or fairway wood should be aimed at the right hand edge of the bunker at the rear centre left of the green. The front twenty percent of the green can be seen from the tee. A solid shot up the fairway to get as close as possible to the fairway bunkers is best. Care should be taken as to where the pin position is as a wayward shot left or right of the pin will leave a more demanding putt. 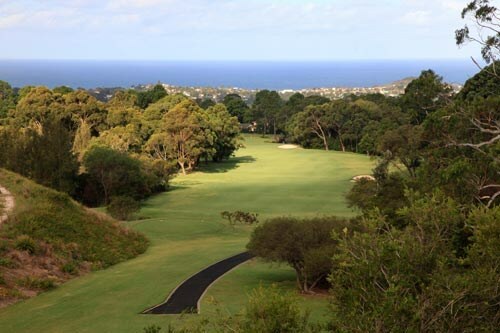 A strong drive aimed at the water tower on top of Collaroy plateau will deliver the ball to the centre of the fairway at the bottom of the hill where the fairway doglegs to the left. A medium iron to the green is best placed toward the centre left of the green to avoid the green side bunkers and wetland. Drive toward the left of the fairway bunkers on the right to obtain the best position from which to play your second over the creek. The second should be aimed right of the green side bunkers. Care should be taken not to go long as anything over the back of the green will most possibly result in a very difficult return shot having to be played. A straight par five toward the house on the hill. Three good shots will be required to reach this green. The green is very large and is as much as three clubs different from front to back. You should take note of where the pin is located before making your approach shot. 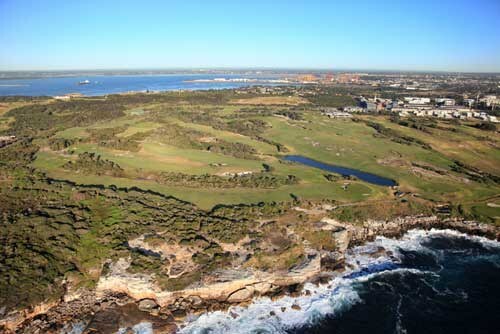 Possibly one of the best par three?s in Sydney this hole will provide plenty of variety and challenge depending on which way the wind blows. At only 122 metres this is not a long hole but a pulled or short shot will give you plenty to think about for your second. A strong drive is still required from the tee if you are to get home in two. Longer hitters will need to keep to the left hand side of the fairway to avoid the fairway bunkers. With the green being raised nearly a metre the player can now see nearly all of the putting surface from the fairway. The second should be aimed to the right of the weather vane to avoid the greenside bunker that protects the front left of the green. 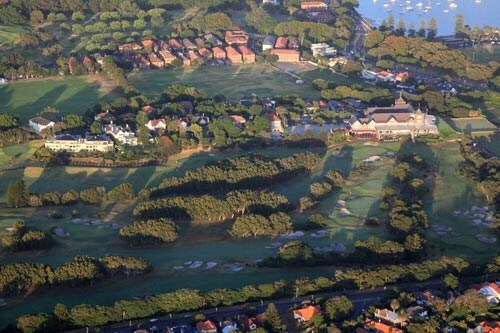 Located just a few blocks from Manlys famous beaches, Manly Golf Club is one of Australias oldest golf clubs, celebrating its Centenary in 2003. 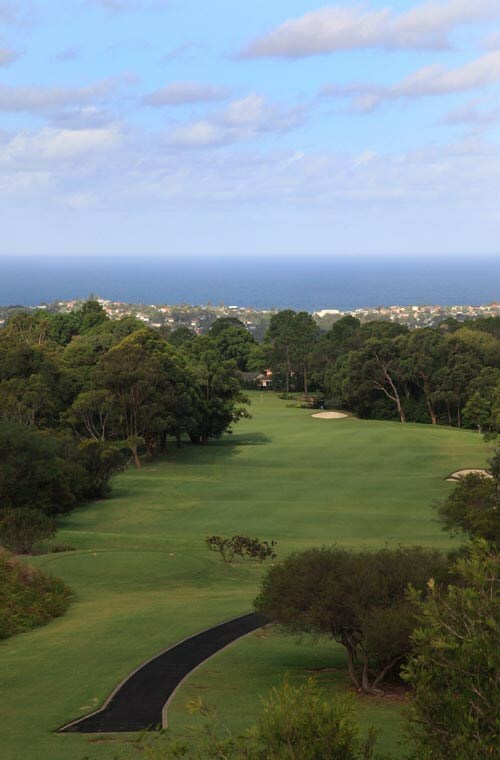 The course is challenging, but not tortuous, with multiple tees giving golfers of all standards the ability to enjoy their game with an appropriate level of challenge. 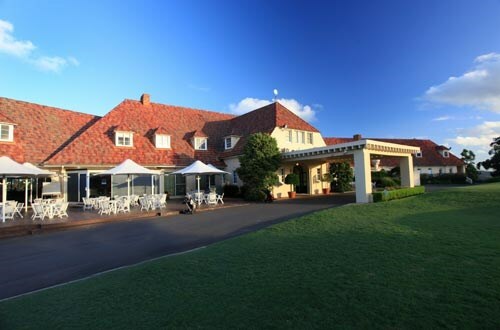 Located just a few blocks from Manly's famous beaches, Manly Golf Club is one of Australia's oldest golf clubs, celebrating its Centenary in 2003. 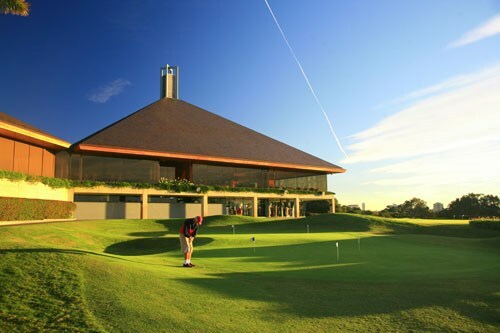 The Club has a formidable golfing and social history and, over the years, has played host to many championship and corporate events. 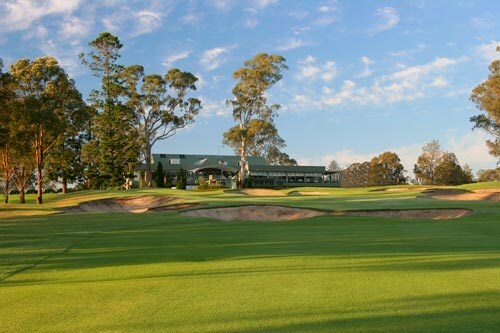 The manicured fairways have hosted many of golf's immortals- in the 1971 NSW Open Jack Nicklaus laid claim to the course record with a brilliant round of 62, whilst in 1978 Greg Norman fired a fine 64. 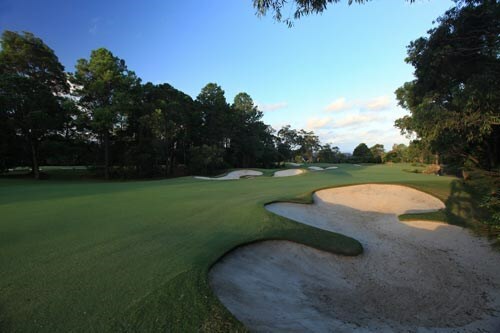 The course is challenging, but not torturous, with multiple tees giving golfers of all standards the ability to enjoy their game with an appropriate level of challenge. 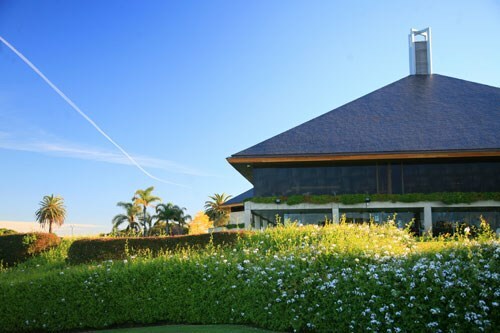 After golf, why not enjoy the beautiful, fully air-conditioned Clubhouse, which can cater for functions of between 75 and 350 guests. 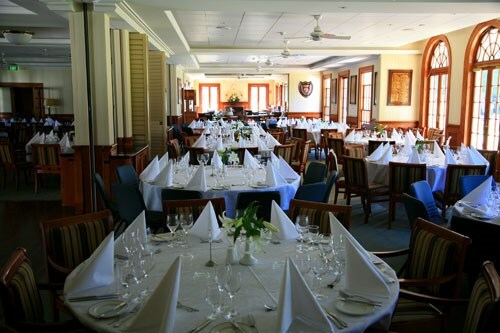 Originally built in 1924, the Clubhouse has recently been extensively refurbished to its Georgian / Mediterranean style grandeur, retaining the wonderful heritage features and taking it's banqueting facilities into the 21st century. 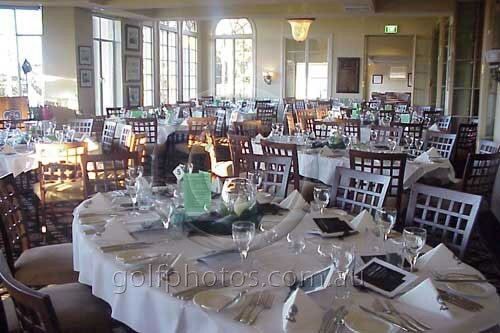 Manly Golf Club takes great pride in providing both a venue and service of the highest standard. 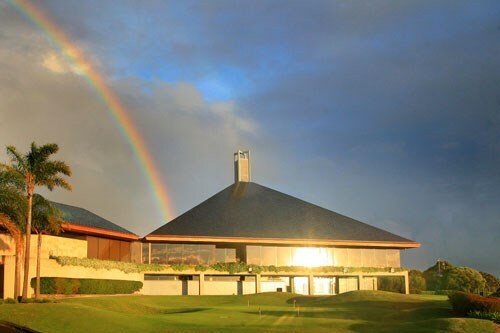 Your golf experience here is sure to be very memorable. 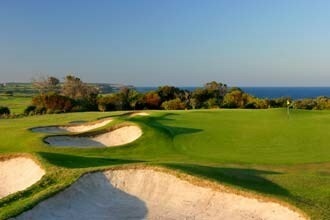 Probably the friendliest of par 4's at Manly Golf Club to open your account and settle any nerves. A solid drive from this elevated first tee to the centre or right hand side of the fairway, short of the fairway bunker is your best option, leaving a short iron or pitching wedge to a large double-green, shared with the 17th hole. A long par 5 where a lay-up drive or long iron from the tee is the smart play to be just short of the water hazard that crosses the fairway. Left of center is the line to avoid fairway bunkers on the right side. Your second shot is then a long iron or fairway wood down the middle, but try to avoid Peter Thomson's signature 'pot bunker' that is strategically placed in the middle of the fairway just short of the green. Your approach shot to this 'table top' green should be left and under the hole as anywhere long will find trouble. This signature par 5 is played as a '3 shot' hole demanding strategic play as it's the first of 3 double water carry holes. Your tee shot is a lay-up down the left centre of the fairway to avoid the fairway bunkers and the first water hazard Your second shot is a mid-iron to the right side of the fairway leaving you with the best angle in to this small tricky green. The first of four par 3's that features an elevated undulating green. Going long or short left is to be avoided as the green is heavily bunkered front and back. Regardless of pin placement, the smart play is to the front centre of the green. 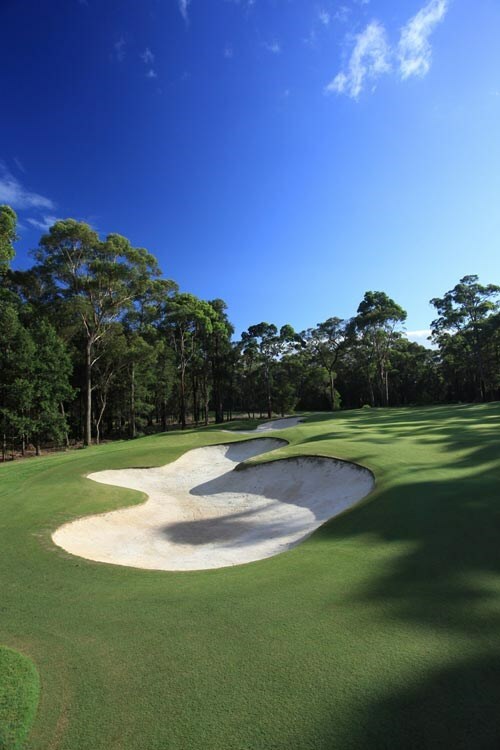 A difficult par 4 where the best play is a well-placed drive, short of the fairway bunkers. Being left of centre with your tee-shot provides the ideal approach to this fairly shallow green. 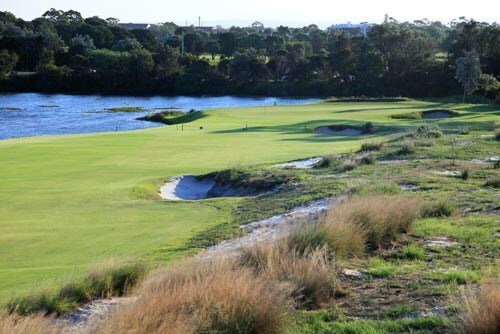 Your second shot requires a precise long iron, hybrid or fairway wood keeping in mind bunkers guard the front of the green and Manly Lagoon is immediately through the green. One of the more challenging tee-shots in a left to right breeze. Finding the trees on the right is easy enough and not a good result left of centre is your best line. Your second shot is a mid to long iron, or fairway wood. Avoid being overly long or left where there's more water- your best option is short of the green, running on. The second of the par 3's is relatively short but it's unique feature of having ?no bunkers? combined with a tricky green makes this one of the toughest holes on the course. Any shot that misses the green on either side will challenge even the best short game players. From this picturesque tee-box, the ideal drive is left of centre avoiding the long water hazard running parallel to the fairway on the right, and the fairway bunkers located in the centre. The golden rule with your approach shot is to ensure you take enough club to carry the water hazard as this green slopes from back to front and any shot short will finish in the water. 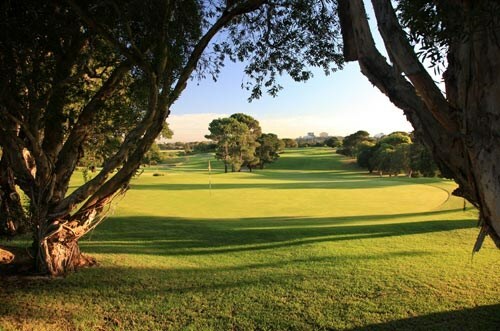 A short but challenging par 4 where 'risk and reward' weighs into your 'best-play' strategy. With trouble on either side of the fairway, a long iron or fairway wood 'lay-up' down the middle, is the smartest play, leaving you a short iron or pitching wedge to an elevated green. A cluster of bunkers protect the right hand front edge providing some 'food for thought' for long-hitters who think they might reach this off the tea. A relatively short 'left to right' uphill dogleg par 4 where a good straight drive is well rewarded. Centre/left is the ideal line as two large fairway bunkers on the right are best avoided. For your approach shot, going long to the middle is the smart play with safety provided by the 'backboard' created by the high ground surrounding the green. 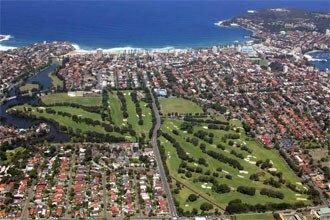 This challenging hole is the longest par 3 at Manly. Club choice is the key here as bunkers guard this large green and being long or left off the tee makes it tough to score. A 'middle of the green' tee-shot is the best play, giving yourself two putts to get the right result here. A very picturesque hole that offers an inviting drive. Depending on pin placement, a long drive down the middle or just left of centre is ideal. Your second shot is uphill, over the creek to an elevated but shallow green. A gaping bunker protects the front right hand side of the green so depending on the pin location, this left side of the green is the percentage play. 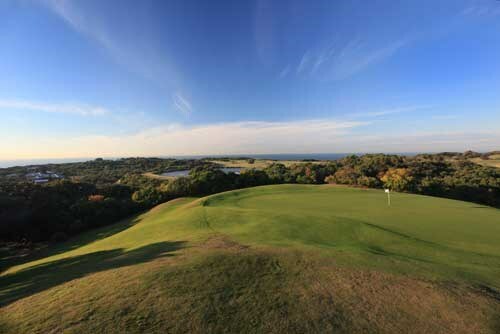 This signature driving hole from the most elevated point of the golf course, offers risk and reward. For this longer hitters, the option is there to carry the fairway bunkers but the smart play is just right of centre and short of these bunkers. This challenging green is hard to hold in two-bunker protected in front and elevated. Accuracy with your second shot is highly rewarded. 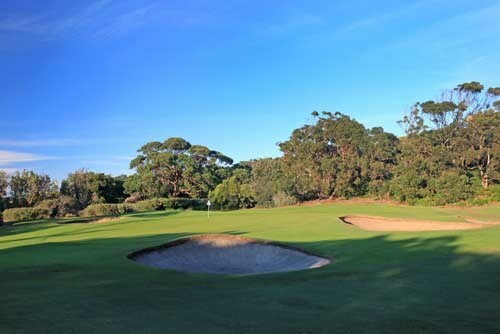 This green is quite a small target with pronounced undulations running away from the middle making it one of Manly's toughest greens to manage well. The par 4 14th invites a drive into open space, tempting the long hitter to flirt with the waterway that dissects the fairway. Finishing just shy of this is your best option and leaves you a mid to long iron approach shot as your second. The green is well protected by a front edge bunker and being on the long side with your second is the smartest play. The 15th is a short par 3 but requires pin point accuracy. The green here is protected by deep bunkers, left and right front edge and with the water hazard immediately behind it's all about getting the yardage right. A par 4 dogleg that plays 'left to right' that requires a strategically well placed and weighted drive, left of centre. Shaping the ball 'left to right' from the tee will be rewarded but being too long and straight will be penalized by the water-hazard that is lcoated through the fairway. A well positioned drive will leave a short to mid iron into a tight and narrow green that is heavily protected by bunkers on the right edge. A 'gun-barrel' straight par 5 that calls for two good straight woods to leave you with a short mid iron approach as your 3rd. Your tee-shot is over the dam long and strong with a 'right of centre' line is your best option. If you manage to avoid the fairway bunkering with your first two, your third shot is to a large and bunker protected double green. A great finishing hole brings you back to the clubhouse. Accuracy with your drive or long iron is the key here. The smart play is straight and short of the right hand fairway bunker. Your second shot is a short iron or pitching wedge to this elevated and sloping green. With bunker protection on either side and to the front, the safe play is to the back half of the green. 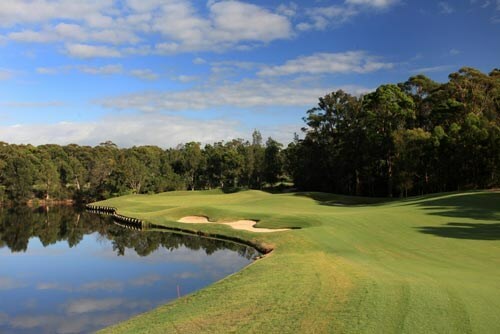 Pymble Golf Club, located in the heart of Sydney's beautiful North Shore residential district, is regarded as one of the finest inland courses in Australia. 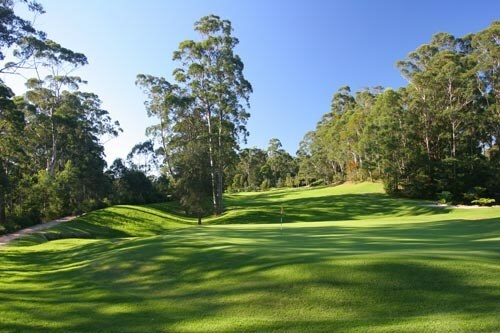 Surrounded by magnificent homes, the picturesque course measuring over 6100 metres meanders through creek filled gullies and over heavily treed hills providing a golf experience of perhaps unequalled beauty and challenge. 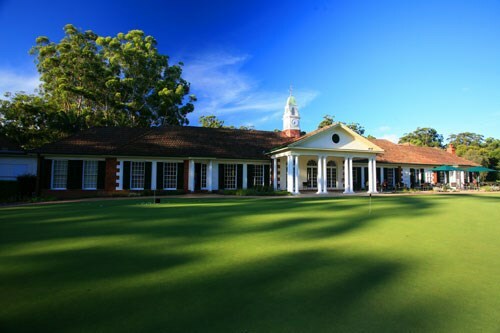 Pymble Golf Club, located in the heart of Sydney 's beautiful North Shore residential district, is regarded as one of the finest inland courses in Australia . 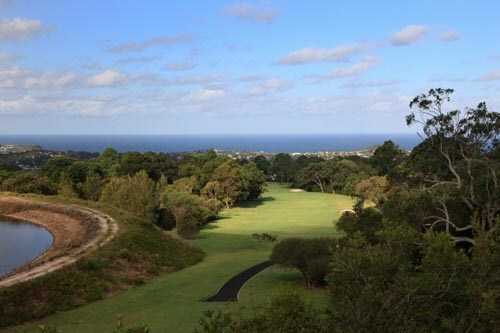 Designed by Dan Soutar in 1926, this very picturesque golf course measures over 6100 metres. 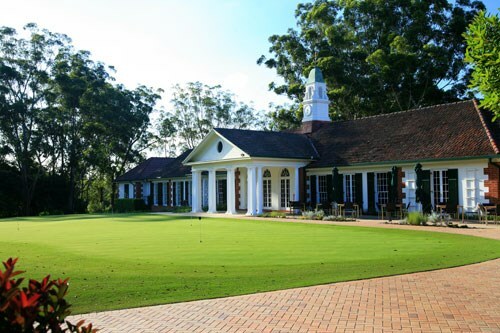 Surrounded by magnificent homes, the course meanders through creek filled gullies and over heavily treed hills providing a golf experience of perhaps unequalled beauty and challenge. The planting of over 2000 trees and shrubs in the 1950s, was also a key part in the development of enhancing the surroundings of the golf course - the benefits of which are clearly visible nowadays ! The course is also famous for its black swans and the many geese that frequent the 16th hole dam area. In addition rainbow lorrikeets, eastern and crimson rosellas, king parrots, kookaburras, magpies, plovers and many other varieties are common. 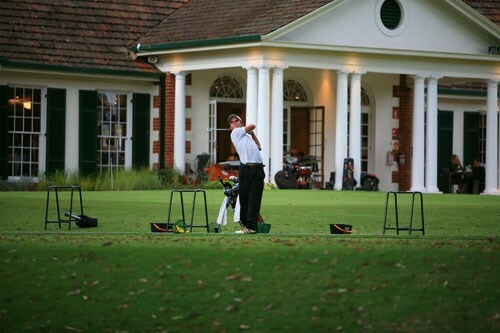 Pymble Golf Club is one of Sydney's premiere private clubs and has been ranked as high as 87 in Australia. Your drive should land on the right side of this sloping fairway and if long enough you will have a good angle for your shot into the green. You can either carry it all the way to the two tiered green or run the ball onto the green from the right and between the bunkers. You can also play safe and lay up before a short pitch onto the green. 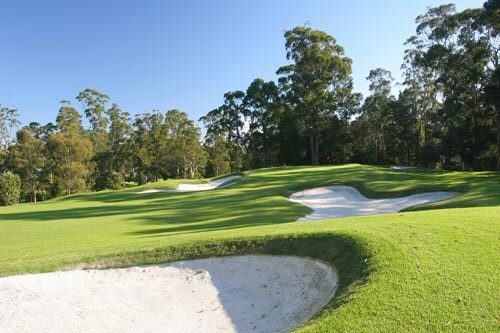 This hole is one of the toughest par 5's in Sydney. The hole meanders up a steady incline with little run on the fairway. A solid drive required, the second shot should be placed right of centre fairway for the best approach to the two tiered green. There is a deep bunker short left of the green and this should be avoided. This hole runs down hill to a generally flat green. A good tee shot should always be rewarded by a par or birdie. A long iron or fairway wood off the tee here. Favour the left side of the green although there is a bunker left and right, with a severe slope away from the green on the right hand side. This is a tough down hill par 4 requiring a long straight tee shot and a well judged second. A solid drive down the left hand side is needed as the fairway slopes to the right. Best position to attack the green is centre to right side of fairway. Don't overclub the approach shot as you will have trouble making par from the side or back of green. This is a very challenging hole rated as our most difficult A dog leg right par 4 which plays longer than its rated length. Aim straight tee shot at the Turpentine or fade it if you can for the best approach shot. Long iron or fairway wood will be required to get home. Make sure you take an extra club as a shot played to the front third of the green may roll back off. This is straight up hill and playes longer than its lenght would indicate. Accurate placement of drive is a must. Favour the left side of fairway as balls tend to run off the right into the tree line. The left hand side is the ideal approach into the green. Take one club more than you think into the green as again, anything short may run back off the front. This is a good birdie chance with many players able to get home in two. A good drive down the right centre will set you up for a chance at the green. If you go for it you will be well rewarded but a mishit will lead to a difficult recovery shot. The conserative player will lay up before a short iron third shot into the green. Favour the right side of the green with a mid to long iron. Look for wind direction, the hole plays much longer into a North Easterly. The green has two tiers and when the pin is at the back it is a much tougher proposition, A bail out area short right is not a bad miss, from which it is relatively easy to get up and down. Anything left is a most difficult recovery. This hole is one of our toughest featuring a tee shot which goes over a rise and down a hill before ascending back up a steep incline to a well bunkered green. Plan your drive to land right of centre of this sloping fairway to have the best approach to the green. A well hit long iron or fairway wood will be required to get home particularly in a North Easterly. 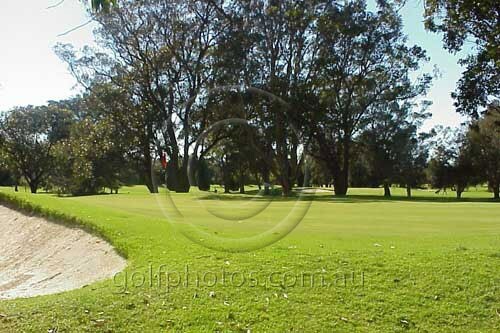 The greenslopes front to back and a shot hit a little short of the green centre will invariably roll back off the green. Putting from behind the pin can be treacherous requiring great touch. A most challeanging hole. Another tough hole where a long straight drive can be well rewarded. This hole dog legs slightly to the right. For the best approach shot a good drive should be left of centre fairway avoiding the fairway bunkers. Then the hole meanders slightly downhill which makes the second shot play a little shorter than the distance would indicate. Aim for the front half of the green as anything back is very a very difficult recovery shot. A shortish par 5 which is slightly uphill with the longer hitters able to get home in two. Slight dog leg right. A straight drive is useful, a fade preferable. Second shot must be placed on the left hand side for the best approach when the pin is cut right. The green is split into two sections, left tier is lower than the right. If you hit to the wrong tier you will have a most interesting putting challenge ahead of you. This short par 4 looks camparitively easy, however a misplaced shot will result in a tough recovery. Three wood or long iron preferable off the tee. This leaves only a short iron into the green. Favour right to centre green for this shot but don't be long and certainly not left. Once on the green you will have a straight forward putt on a relatively flat green. This is another shortish par 5 featuring a strong risk / reward strategy. Dog leg right. A solid drive in the middle will give you a chance to get home in two but miss the green anywhere right or long and purgatory awaits. A fairway bunker 25 metres short and left of the green is to be avoided. Safe play - lay up short for an easy pitch. Putting can be tricky on a well contoured green. Accessing the pin position is critical on this hole. A difficult par 3, requires a long iron or fairway wood. Best shot is a fade aimed at the left centre of the green. Alternatively, lay up short for an easy pitch and your par. There are bunkers left and right and a steep back left and long from which a pitch and putt is possible. This is our feature hole featuring two water carries. 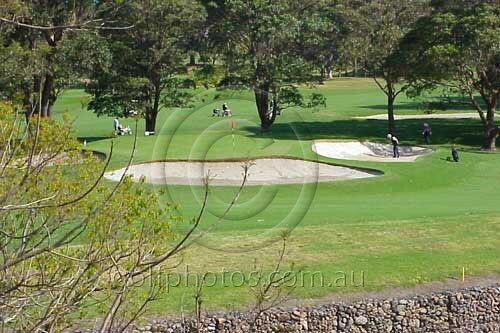 The hole is a dog leg right over the dam with bunkers and a huge bluegum tree on the corner to be avoided. If you can carry the bunkers your second will be a straight forward shortish iron, but in laying up, a much more challenging shot awaits. 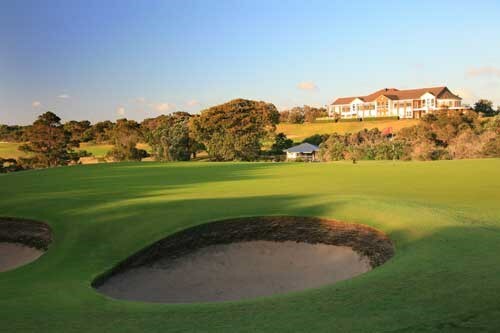 The green is guarded by a rocky creek in front with strong bunkering left right and at the rear. Take on the creek if you think you are good enough or lay up for your bogy - the choice is yours. The last of our tough par 4's. Dog leg right. Position your drive to the centre of the fairway as your second shot can be blocked by trees left and right. The second shot is slightly uphill to a long narrow green guarded by bunkers left and right. Make sure you take an extra club as anything short can roll back off the green. Once on the green it is fairly flat and straight forward putting awaits. Favour centre left when aiming at the green. The final hole is a challenging par 3 featuring a two tier green guarded by bunkers in the front and rear. Check the pin position and attempt to finish on the same tier as the flag as being on the wrong tier invariably results in a three putt. There is a bail out area right but there no easy chip and putt if the pin is back left. 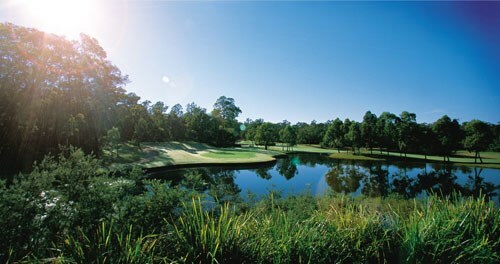 Riverside Oaks is set in 587 acres of unspoilt natural bushland bordered by the Hawkesbury River and wildlife reserve. 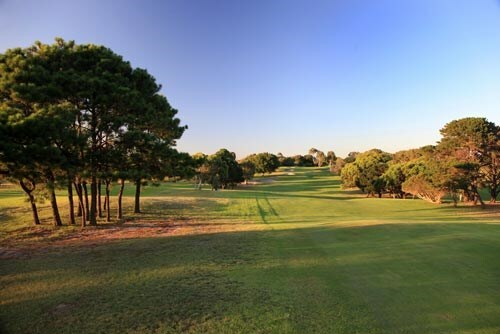 The course layout is designed for golfers of all standards offering a challenging, rewarding game in a quiet natural bushland setting. 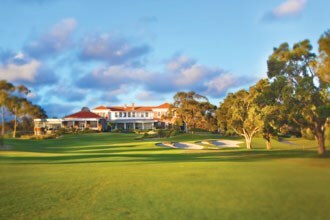 Immaculate presentation, expansive greens and world class facilities provides one of Sydney's finest resort courses. 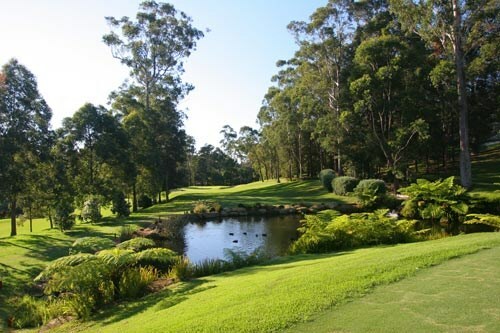 Located 90 minutes from Sydney, Riverside Oaks is set in 587 acres of unspoilt natural bushland bordered by the Hawkesbury River and wildlife reserve. 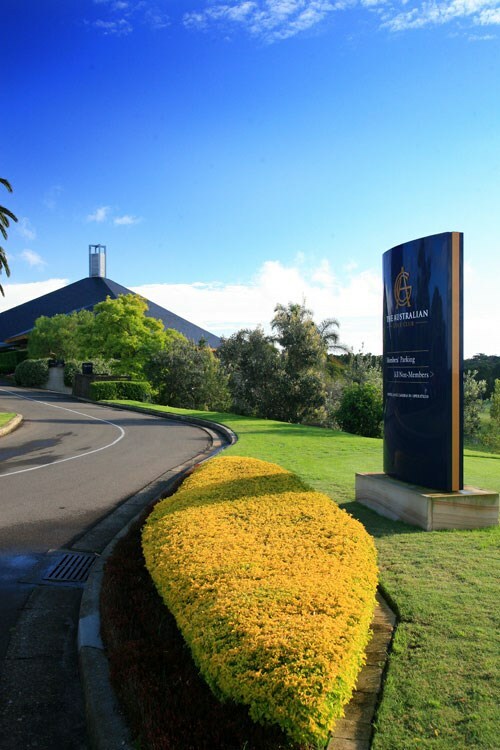 Today, Riverside Oaks has a reputation for quality that attracts golfers and visitors from across Australia and around the world. 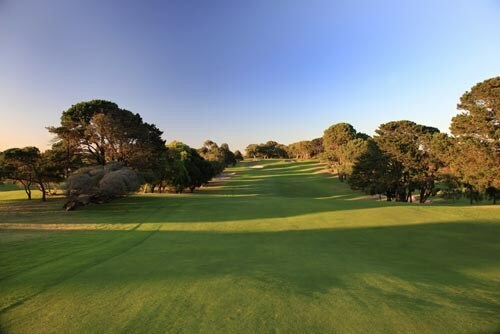 The 18-hole par 72 championship course is 6,311 metres long and is rated amongst the top courses in Australia. 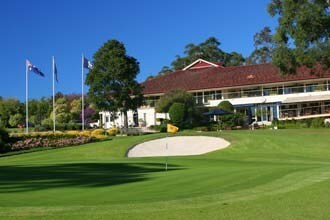 Immaculate presentation, expansive greens and world class facilities provides one of Sydney's finest resort courses. Aim the drive centre to right centre fairway but, beware of the water left. A fairway wood second shot to the right side of the fairway sets up a short iron into the green. Aim to be below the hole on this huge green. A strategically placed bunker in range of the tee. Depending on wind tee off with a driver or fairway wood for accuracy. Green nearly five clubs deep, check pin position for club selection into the green. Bunker left and short another two on the right. Another long par 4 calling for an accurate drive. Fairway bunker right is in range and trees left punish any hook or severe draw. Second shot needs careful thought. A large green with slopes behind and right makes a par difficult if the second shot is not true. A lovely, downhill par 3. The bunker front green makes the hole shorter than it is. The tees are shielded from the wind. Check the tree tops for the real wind before club selection. The bail out area here is left. Placement of the tee shot is all important here. Use your most reliable fairway wood or long iron for accuracy aiming right of centre fairway. Large tree front green blocks any tee shot too far left. Check the pin position for the shot into this large green. The drive should be aimed at the left edge of the fairway bunker, a slight draw ideal. From front tees bunker is reachable- beware. Check pin position for shot in very big green. Danger right and behind green, steep slopes will cost you a shot. Any tee shot left of the centre fairway and trees will block your second shot. Huge fairway bunker in range from the right. Second shot to blind green calls for one extra club, check distance carefully and be up. Bail out area is left sand and slopes right. Bunkers in front of green will trap any shot not hit fully onto the green. Check distance carefully and check tree tops for wind on this sheltered tee. Slopes left and back and sand right as well will test your iron play here. A blind tee shot but there is no trouble if you middle your drive. Unless you hit very long, best to lay up short of the bunker front left green for a pitch and two putts for a par. A generous landing area for the drive. Water right catches a slice and the road left is OOB. Favour right centre fairway for your second and take an extra for the shot in. Green slopes back and front and right to the left- read the putt well. The danger here is obvious. Plenty of information available on the distance so having got the right club concentrate on the straight hit. Swale mid green so club to be on the same level as the pin. This hole looks a lot tougher than it is. A sweet fairway wood or long iron tee shot is best- driver hit long may make for a difficult second. An iron towards the left will avoid all water for a short iron in. Long hitters can go for it. Fairway bunkers left are in range and hidden water right will catch a slice- middle the tee shot. Green is semi-blind so check distance for second. Most trouble is right of the green with slopes and bunker short and right. Off the back tee it simply has to be a good shot- anything short or left will find water. From the other trees guard against a hook since the ground slopes away to water. Green nearly four clubs deep check distance and wind. A good drive left centre fairway essential. Right of centre fairway trees could block your second shot. Sand short and right of green and water cutting in on the left means you must be up with the second. Longer markers- safer to lay up. Undulating green- study putt carefully. Tee off with a fairway wood or long iron. A driver hit through the dog leg will reach sand and may block your second shot due to trees. Green guarded left by steep slopes to water and by a bunker right. Be under the hole with your approach for an easier putt. From the back tee be sure to open up the green, aim left centre fairway. With the well guarded green a straight shot is required to find the target. Check the pin position carefully, green is at least three clubs deep. Long hitters can carry the water but it is a gamble. Better play down the middle of the fairway guarding against the lake on the right for a mid to short iron into the green. Water comes into play short and left of the green and sand on the right. 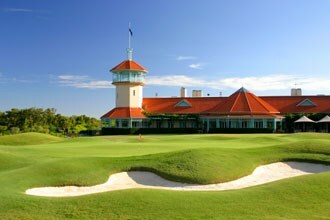 The Australian Open Championship has been held on 11 occasions at Royal Sydney, the most recent in 1999 when Australian amateur Aaron Baddeley triumphed over a world class field which included dual major winner Greg Norman and the Scot Colin Montgomery. 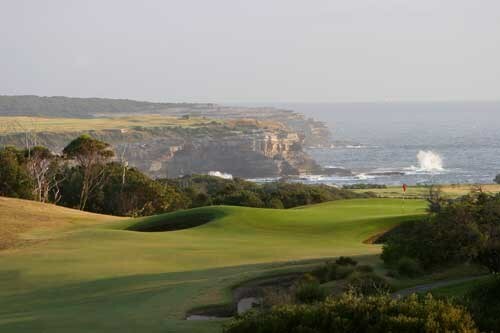 A private member's course Royal Sydney is only open to members and their guests. This opening par 4 is reachable from the tee by long-hitters. Players who find the fairway off the tee will be left with a short pitch shot to reach the green which is guarded by sand on both the left and right. 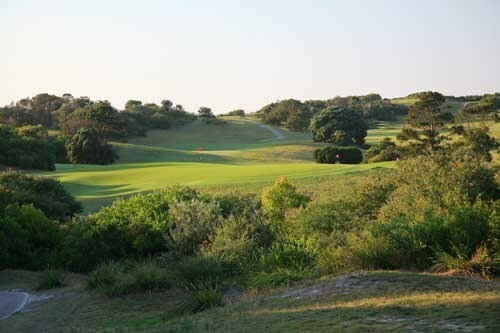 This hole is a long par 5 which can be reached in two, but sometimes only with the help of the wind. The green is wide and shallow and when the hole is into the wind the players must avoid the dreaded 60 metre bunker shot that awaits those who leak the long second shot too far right. This hole plays downhill to a long, narrow green which is surrounded by bunkers. Players may have difficulty choosing their club as the length changes greatly depending on the wind and whether the pin is placed at the front or the back of the green. This par 4 plays downhill from the tee then turns to the left and goes up to the green at the high point of the hill. Trees line both sides of the narrow fairway and the green is heavily guarded by one of the deepest bunkers in the country. Drive the ball to the left side of the fairway on this par 4 as players will find that the fairway opens up the preferred line of approach unless the pin is tucked back in the left corner of the green, behind the deep fronting bunker. This is the shortest par 3 on the course with possibly one of the biggest greens; one with several demanding and dangerous pin positions. With a short iron in hand it is tempting to aim at the flag, however if your shot finds the bunker it will take a brilliant escape shot to get close. 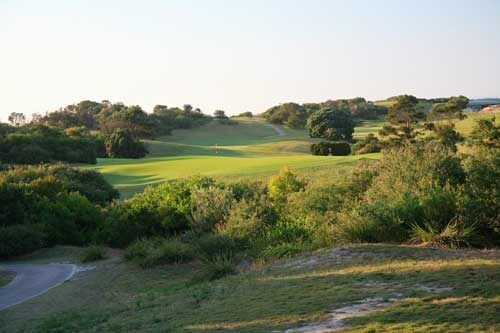 This long par 5 plays along the southern boundary of the course and is one where the ideal shot is a long draw (or fade for left-handers) that catches the down-slope over the hill and earns an extra few metres that many times will be critical if you are to hit the green in two shots. The bunker on the left looks to be right up against the edge of the green, however between the bunker and the putting surface is a deep swale that catches a few off-guard and leaves a difficult short chip. This short, uphill par 4 is one of the highlights of the course. It forces players to make a decision on the tee as some players will be able to drive far enough to reach the putting surface. 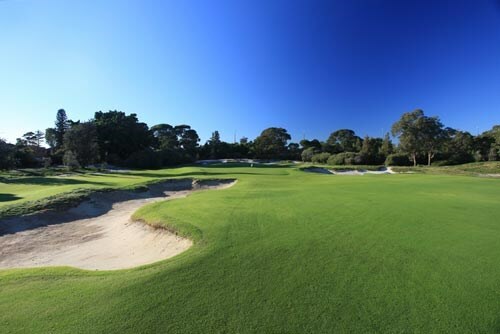 Actually hitting the green in one is another matter and the pitch from 80 metres (after an iron shot from the tee) is often easier than a bunker shot or short chip from around this brilliantly protected and elevated green. This final hole of the front nine is one where the tee shot is best played to the right to avoid the tall pine trees on the left that block a clear view of the pitch to the green. This long and narrow green is best played from the right of the fairway as it can be easily missed with a short iron shot. The back nine begins with this medium length par 4. The drive off the tee will need to avoid a fairway bunker to the right and a small stream which runs through the left rough. The green sits to advantage a drive played down the left and the second shot is usually of medium to short length. This long, difficult par 4 challenges players with a narrow green that is guarded by bunkers on the right and a deep swale on the left which demands a very well played iron shot following a drive that steers clear of the fairway bunkers down the right edge of the fairway. Any drive played close to the right edge of this par 4 fairway will leave players with a blocked view of the flagstick. The only clear view of the entire green is from the left of the dogleg. Under the right conditions, long hitters may land close to the green if they are prepared to play a risky shot from the tee. A new tee built in 2006 increased the length of this hole by 30 metres, making this formerly simple hole into a more difficult proposition. Downwind this green is easily reached in two shots, however when the wind is from the south this can be a difficult hole. The fairway on this par 4 is one of the narrowest on the course. Few holes in the country are as straight or as narrow as this one. The ideal line into this thin, small green is (as you would expect) from the middle of the fairway. This final par 5 follows in the same direction as the previous two holes and is reachable in two shots with a favourable wind. 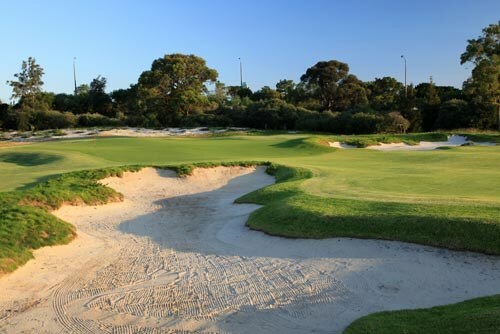 Players are confronted with a series of well-placed fairway bunkers that must be avoided. Provided you are able to achieve this, what is left is a short pitch shot onto a relatively simple green. The green on this par 3 is the most difficult to hit on the entire course, especially in a strong wind. Misjudge your shot and you could find yourself buried in the bunker at the rear of the green. 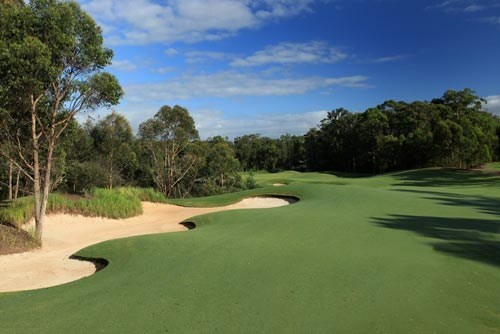 Intertwining the upcoming Stonecutters Ridge development, the planned Greg Norman-designed 18 hole championship golf course has been designed to be ranked in Australia’s Top 100 Courses. The 6,247 m, par 71 course, sits amongst the rolling topography of the site. The course landscape will reflect the characteristics of its natural surrounds with three distinct themes, each complementing the overall development and providing a range of sensory experiences as players travel around the course. 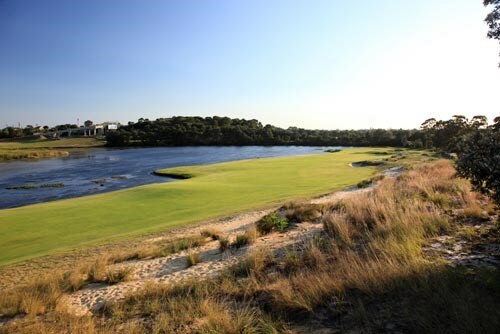 The golf course will be framed by the natural meanderings of the adjacent Creek and the uniquely Australian Cumberland Plain Woodlands. 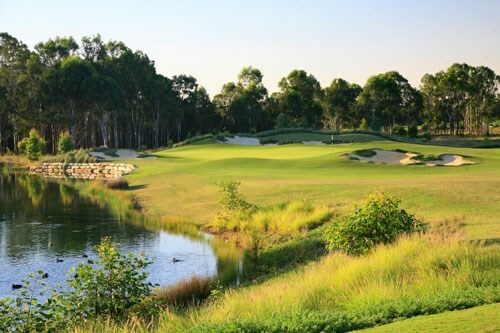 Approximately 30 per cent of homesites at Stonecutters Ridge will front the golf course. Stonecutters Ridge will be another quality development created by Medallist – a leading developer of award-winning, masterplanned communities. Formed as a joint venture between Greg Norman’s Great White Shark Enterprises and Macquarie Group Limited, Medallist specialises in premium residential golf course developments across the globe. 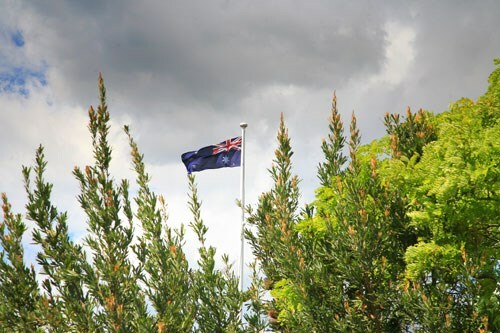 Communities in the Medallist portfolio have been internationally recognised for their design, facilities and dedication to the protection of the surrounding environment. 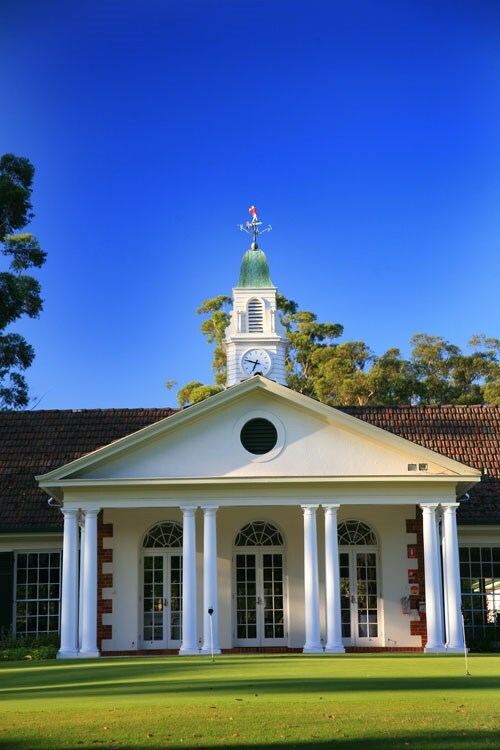 From the Savannah Quarters, Tennessee National and Wild Heron in North America, to Eye of Africa near Johannesburg and Brookwater, The Vintage and Pelican Waters here in Australia, Medallist creates communities that become lifestyle destinations. The success of each address is built upon a commitment to high standards and quality throughout all aspects of the community, providing an idyllic way of life for residents around the world. This is one of the more difficult pars on the course due to its length. The hazard on the right of the teeing area should not come into play. A sole bunker awaits a tee shot down the right hand side and dense trees and shrubs line the entire length of the left rough. Any shots hit down the left hand side will require a long second shot over 3 large, deep bunkers. The course now opens up to a double fairway. A slight dogleg right, the best tee shot will be left of the signature tree. The second shot must negotiate this tree in the centre of the fairway, by playing over or around it. A water hazard hugs the right side of the green from 100 metres out and a bunker left of the green will catch any shots steered away from the water. This hole shares the double fairway with the 3rd. The water hazard hugging the right hand side can be avoided by driving to the open left side of the fairway. An approach from this side though means coming in, over 3 large deep bunkers on the left side of the green. A tricky short par 4 with a hazard to the right off the tee and fairway bunkers right and left in the landing area. Best played with a fairway or hybrid from the tee to lay up short of the bunkers and the hazard which lies past the right hand bunkers unseen from the tee. The second shot will be with a short iron over the hazard to a narrow green. The only par 3 on the front 9. Visually an outstanding hole from the tee. Deep bunkers immerse themselves in the water hazard which extends the entire length of the hole on the left. There is a large bail out area short and right of the green but it will be difficult to get up and down for par. Success favours the brave on this hole. Another visually stunning hole from the tee. A water hazard extending the length of the left fairway demands a long drawn tee shot or a lay up to the right short of the rough on the corner of the dog leg. Bunkers cascading down the rise behind and to the right of the green make for an intimidating approach shot. The bailout area left of the green is safe option however it will be a difficult chip and putt to make par. A perfect hole for anyone who fades the ball. Aim down the left side of the fairway, drive to the top of the hill and let the natural lie of the land feed the ball back to the centre. The longer hitters can take on the bunkers on the corner of the dog leg to shorten the hole and provide the best chance for a short iron on the second shot. Large, deep bunkers guard the left side of the green but there is plenty of room to the right of the green to avoid them. The number 1 handicap hole on the course completes the outward 9 and is another hole that will suit anyone that fades the ball with a slight dogleg right. Again the long hitters can take on the bunkers on the right and if you can drive it to the top of the hill you will get some extra yards down the other side and only have a short iron in. A bunker left of the green and a large, deep collection areas on the right and behind the green will make for a challenging 3rd shot if you miss the green. The inward 9 starts with the first of 3 par 5?s to come. A beautifully designed hole with fairway bunkers right for the shorter hitters and left for the longer hitters. The second shot will leave many with the decision of whether to go for the green in 2 or lay up safely. Laying up just short of the next fairway bunker on the right will leave a short pitch of about 80 metres. A long narrow green with a bunker left an water hazard to the right requires accurate direction and distance control for a chance at a birdie putt. The signature hole on the course can seem intimidating from the tee. A collection of sculptured bunkers spill from the elevated green down the approach. Forming what may seem like an impenetrable wall of sand. This shot requires control of height, distance and direction to successfully land on the green. You will feel a great sense of achievement if you succeed. The first of 3 par 4?s on the back 9. A dog leg left over the hill, fairway bunkers on the left force tee shots to the right side where long native grass awaits. A fairway or hybrid hit from the tee will provide safe option but a long second shot over the hill to an unseen green nestled amongst the trees. A feature of this hole is the bunker left of the green built around a mature tree. From an elevated tee to a fairway sloping up between bunkers right and left in the landing area. You need to hit driver though to have a chance at hitting a lofted iron to a green at the top of the rise. Bunkers right and below the hole are two of the largest and deepest on the course, protecting a green that runs across the approach angle. The fairway sloping down and away to the large tree on the right hand side gives the opportunity to hit a long drive and . If you hit your drive to near the tree you will have only a short iron to an elevated green. This is the only tiered green on the course with a rise of more than a metre from front to back. It is important to know whether the pin position is front or back or you?ll be faced with a daunting uphill or downhill putt. A long, straight, open par 5. This is where you will be in contention for the long drive competition with a straight tee shot. Native grass on both sides of the fairway are the harsh penalty for a wayward shot and maybe a lost ball. The second shot with a hybrid or a fairway will need to finish short of the next fairway bunker. Leaving a short pitch to a large sloping green with deep bunkers to the left. A beautiful par 3 hole with a daunting view. 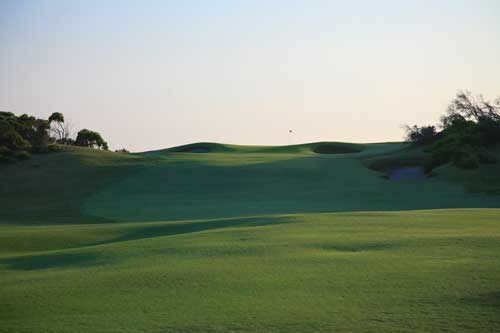 You are faced with a wall of native grass in front of the tee, a water hazard front and left of the green, bunkers and native grass left and right to the rear. One of the higher parts of the course it can be windy most days making club selection important as well as hitting a perfect shot. There is the safe option of hitting short and right for anyone running out of balls at this point. Another great par 3 to a large sloping green with many undulations making reading your putt an art form. Large bunkers front left and rear will present a difficult second shot for any ball not on the green. 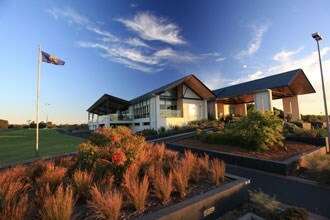 The finishing hole with the club house in view calling you in. A daunting tee shot with driver over the long native grass on the best of days but into the prevailing wind it can be difficult to reach the fairway for shorter hitters. After your drive down the middle it?s time to use your longest fairway and go for the green in 2. There is a large landing area in front of the green for those who hit short but large deep bunkers left and right demanding a straight approach. The green is sloping up from the front to the rear with undulations to make putting a slippery challenge. A fitting end to a great day of golf. Drive into Sydney Motorsport Park and continue through the tunnel and towards the Pit Complex. Look out for the Mercedes-Benz Driving Academy signage! 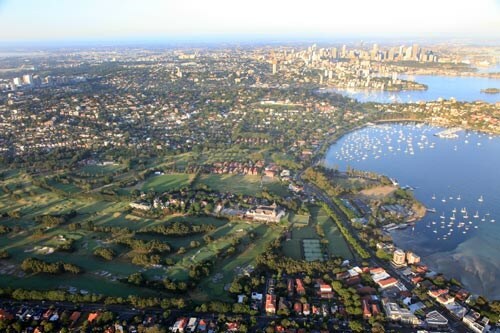 Located 40kms west of Sydney’s CBD is the only permanent circuit in Australia with a FIA Grade 2 International licence. Sydney Motorsport Park is situated on Brabham Drive/Ferrers Road, Eastern Creek, approximately a 45 minute drive from the city or airport. 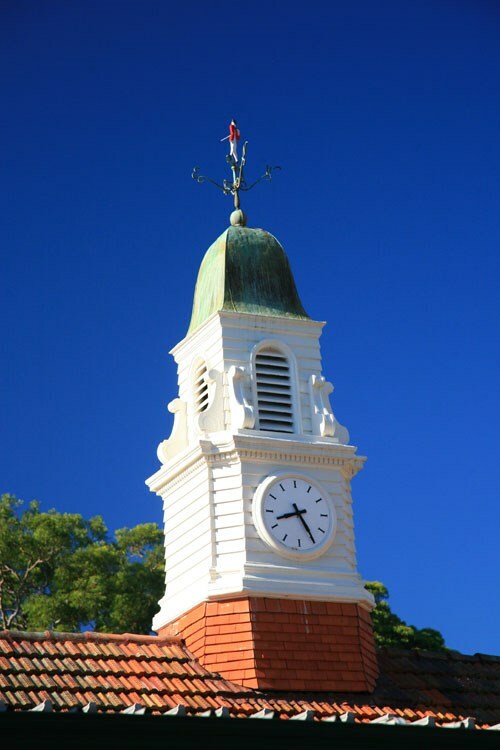 The closest railway station is Blacktown, situated 12kms from our venue. 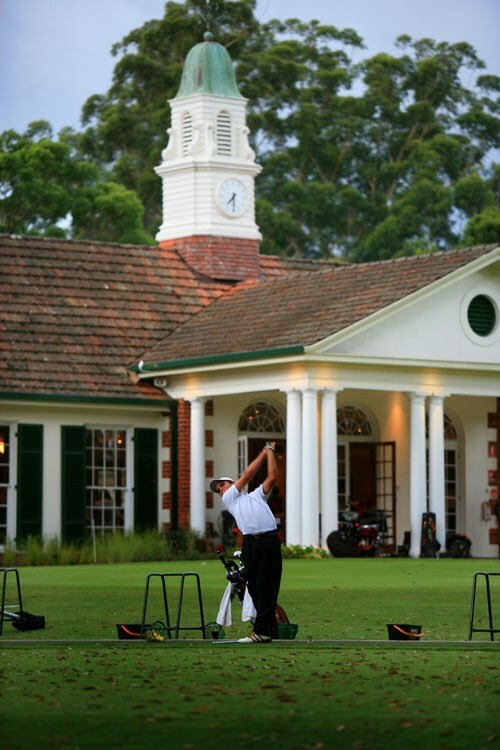 Located in the 2000 Olympic City of Sydney, The Australian Golf Club is one of Australia's most exclusive golf clubs. 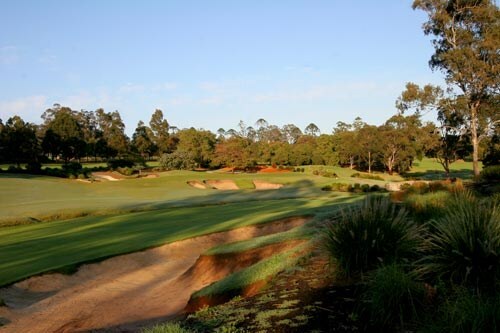 The Australian is a perfectly manicured and aesthetically pleasing golf course. A series of water hazards provide golfers of all standards with challenges right up until the final approach shot into the 18th hole. 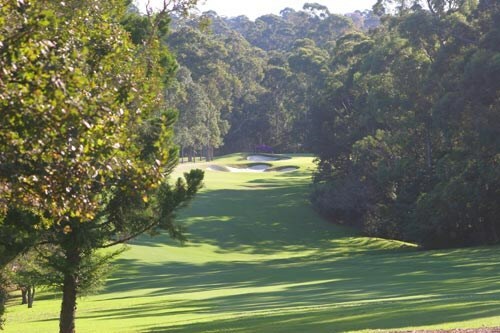 A private member's course, The Australian has hosted a staggering 15 Australian Open championships which include the first ever Open in 1904 through to the centenary open in 2004 where a strong local field saw Peter Lonard grab the title with a one shot victory over previous winner Stuart Appleby. In fact Appleby had a chance to win with a realistic birdie chance at the last hole however after a booming drive, his second shot did not find the target and the resultant bogey left Lonard with a one shot victory. The golf courses was remodelled by Jack Nicklaus in the 1980's adding length, water hazards and distinct mounding to create a golf course dissimilar in many ways to the original. 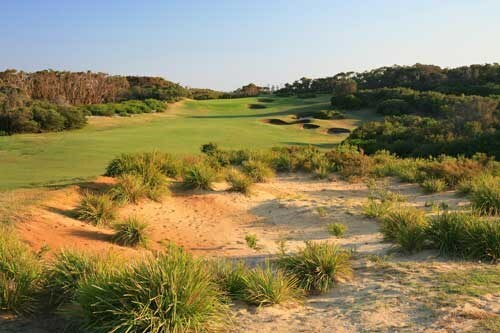 Most would agree that the modifications have made The Australian a better golf course. 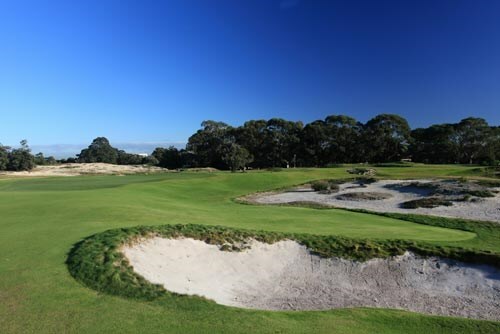 When played from the back tees The Australian can be a punishing course wth long, exacting approach shots needed to tight, bunker laden greens. 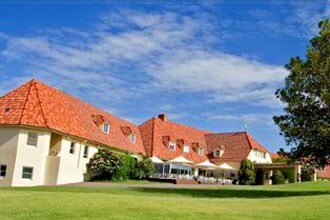 The multi million dollar clubhouse overlooks the course and provides luxurious post game surrounds to contemplate "what could have been". It is hard to imagine that all of this is available within a 10 minute drive from the centre of Sydney. A relatively easy starting hole. Only the very longest hitters would consider taking on the corner bunkers and then only with a helping south/south westerly breeze. Keep well right with your second shot using a club that will keep you short of the right hand chain of bunkers. Ideally your approach shot should finish below that hole if the pin is in front half of the green. From above the hole an extremely slick putt will result. A long narrow green from an elevated tee, which with varying wind conditions and pin placement can play from a short iron to a fairway metal club. Avoid the right hand bunker when the pin is back. The green falls away sharply to the left at the rear. Long drivers can reach the water hazard (which is not in view) with a tail wind. Play to the right where there is ample fairway, avoiding the difficult left hand corner bunker. This sets up the best angle of attack to an obliquely set green. Lay up left if the water carry is too daunting. The two-tiered putting surface is fairly flat, sloping gently to the water on the lower level. Club selection is critical to this shallow green fronted by water. The safest line is to the centre. The back left bunker shot brings the water hazard back into play. Doglegging right from the tee, the corner bunker can be carried only by long hitters with a helping wind. The second shot should be kept well right on a right to left sloping fairway. 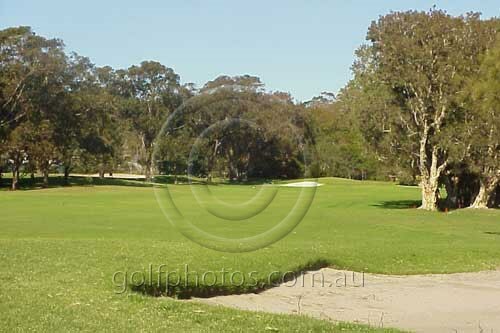 The approach is to a narrow fronted green with well-protected bunkering. Putting from above the hole will require caution. Stay well left of centre to avoid a natural bounce to the right, which will give you the most difficult approach to this green. The further left you drive the more inviting and easy the approach shot becomes to a two-tiered green. From the Member's tee this hole is not long, however, the approach shot to a long narrow green is full of trepidation. Bailing out to the left to avoid the water leaves a difficult third, where a full range of options - putt, chip or pitch - is available. A long hole into the prevailing summer breeze. The drive should be directed to the right side to obtain the best view of the green, which is partially hidden on the left side. This brings into play the right hand fairway bunker, which can be carried, in favourable conditions. The safe approach play is right and short to a green which is difficult to hold and protected front left by a deep bunker. A very tough driving hole where the right hand side of the fairway ensures a clear approach to a green deeply bunkered on the left hand side. When the pin is back over-clubbing is the safest approach as the embankment behind the green invariably feeds the ball down to the putting surface. A ball driven to the right side of this fairway will generally roll back to the centre of the fairway. The second shot is deceptive and an extra club is generally the correct choice. To run a ball onto this green will require a line left of centre to avoid falling into a deep depression, to the right of the green. A very long, narrow and flat green. Careful club selection is required. The left hand bunker is set well back, so a miss to this side generally finds the grassy hollow and the easiest recovery spot. A very good driving hole from an elevated tee. The dogleg left is protected on both sides with bunkers. The easier approach is from the right hand side, from where the two-tiered and deeply bunkered green is opened up. The fairway bunker left is reachable by the longer hitter although this is the side to play from for the best approach to an elevated green, which will provide some testing putts if you do not finish in the correct quarter of the green. A ball driven toward the left hand bank will invariably find its way back to the fairway. There is plenty of room to the left on your second shot to avoid the right hand depression and long deep fairway bunker. The third shot is deceptive and generally requires a stronger club than the eye tells you. To a deep two-level green the tee shot is best played from right to left. A running shot on this line is generally effective. A long drive is required if you want to challenge the green, which is set obliquely to your approach shot and is protected by very deep and extensive bunkering. The green is three-tiered and putting from above the hole is a test for even the best putters. Arguably the best hole on the course. You are tested from the tee, where only a strong and straight drive will allow you to "go" at the pin. The green is again set obliquely to the line of play and precise club selection is needed to find the correct part of this long green and to avoid strategically placed bunkering. The green is relatively flat but has subtle breaks. An ideal finishing hole which will test the ability of the longest hitters to get home in two. Generally a lay up second shot is the correct approach leaving an intimidating third shot to a deep three level green with water at the front and down the entire right hand side. 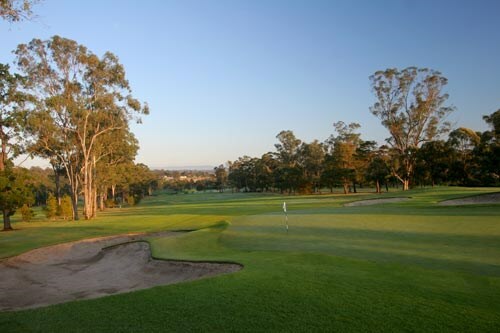 Twin Creeks Golf and Country Club is located in Sydney's Nepean Valley and is destined to become one of the city's premier private golf clubs. 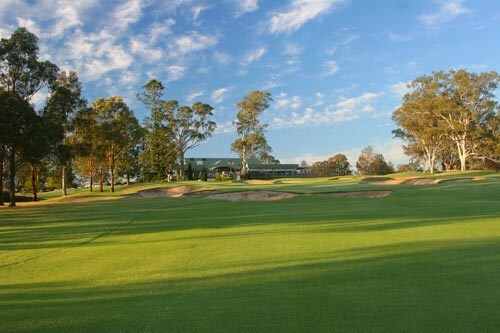 Located in the beautiful Nepean Valley just 45 minutes West of the Sydney CBD, Twin Creeks Golf & Country has secured a reputation as one of New South Wales’ premier private golf clubs. 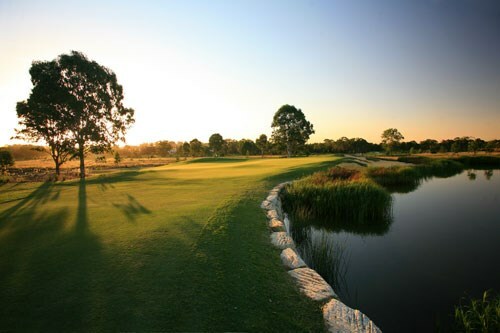 Opened in 2006, the Graham Marsh designed course is a challenging layout that tests golfers of all skill levels. 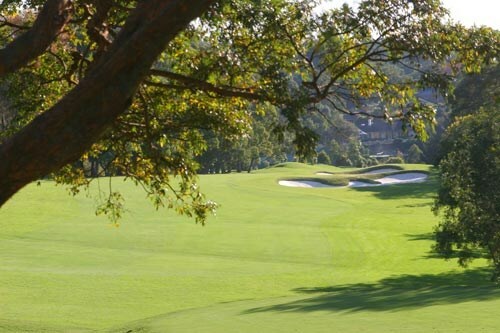 Managed by Troon Golf, the global leader in golf course management, Twin Creeks provides excellent service standards whilst maintaining an exclusive private club atmosphere. Although a private club, Twin Creeks offers corporate golf experiences that can be tailored to suit any group or occasion. 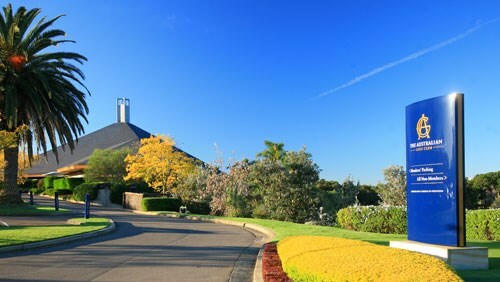 Twin Creeks offers an ideal location for corporate entertainment with our magnificent $7 million dollar clubhouse Twin Creeks has become a benchmark venue for weddings, special events and premier dining experiences in the region. 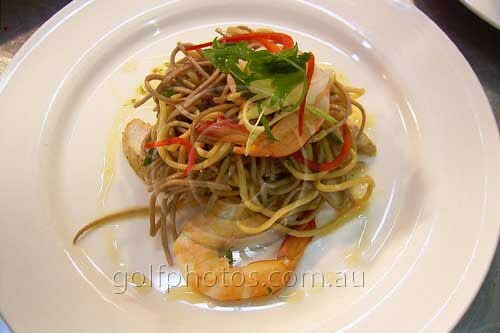 The ‘Paperbark’ restaurant offers an a la cart menu featuring the best fresh local produce. 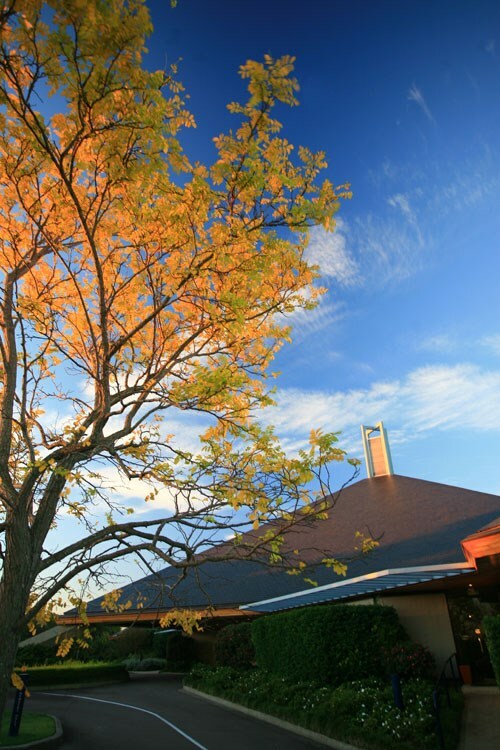 Twin Creeks offers an ideal location for corporate entertainment, with a championship golf course, leading catering services and private function rooms that can accommodate up to 220 guests. 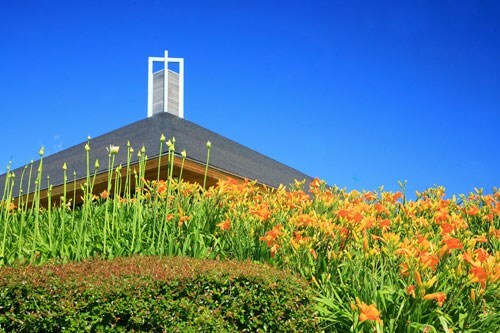 With close to 400 Equity Members, Twin Creeks has exceeded all expectations and continues to attract wide spread interest in its membership program. 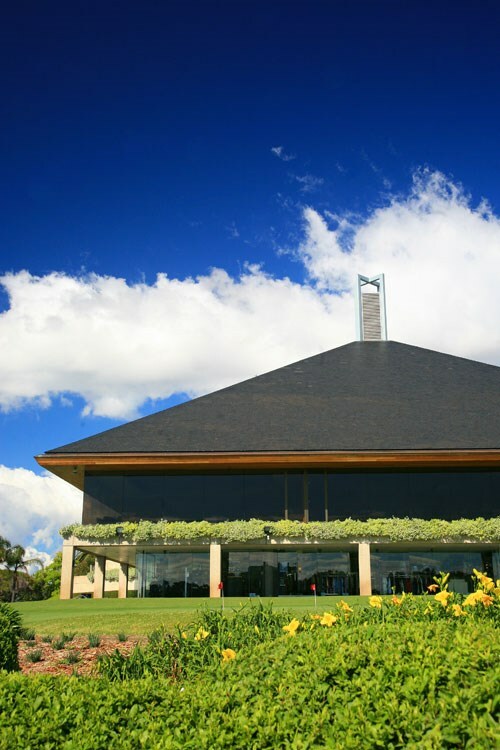 Membership is attached to a transferable share in the company that will own the golf course, clubhouse and other related facilities. Twin Creeks Holdings (Australia) Limited is a public unlisted company limited by shares under ASIC. 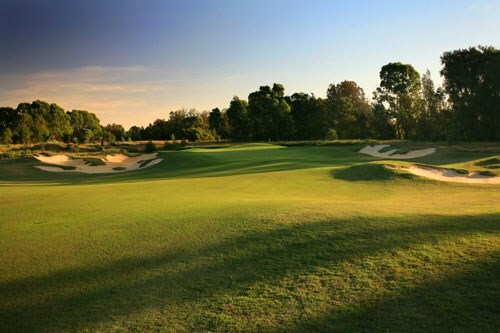 With the ability for Equity Members to sell their membership in the event that they wish to leave the club, Twin Creeks is proving to be an attractive financial investment in both the domestic and international marketplace. 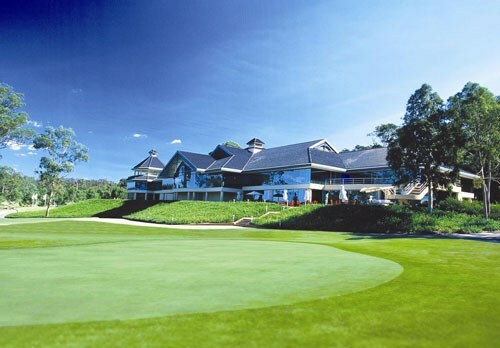 Twin Creeks was recently announced by Golf Australia as Sydney's No.1 residential golf course facility. 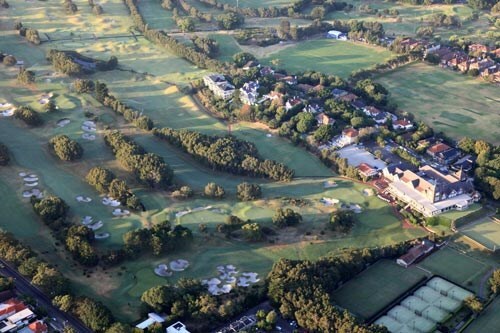 Twin Creeks was ranked 13th Australia wide and second in NSW. 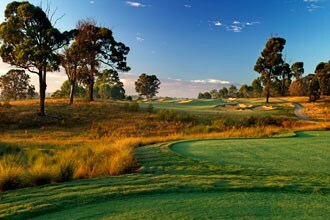 Twin Creeks is Sydney's ultimate golf and lifestyle experience. A very strong golf hole to finish the front nine. The ideal tee shot will take on the inside left bunker and land to the left side fairway. From here the golfer is faced with a number of choices. Strong players will play a very long shot over the hazards to the green. Those not feeling so confident will either lay up short of the fairway bunkers or carry these same fairway traps to a lay up area just short of the green. The green may be large but the contours and greenside traps will test all approaches. A beautiful short par 4. Play the hole safely by hitting the tee shot to the left side fairway. Confident players will play a long drive to the right side fairway. The green has a gentle mound in the centre that clearly divides the green into three distinct pin positions. These tricky contours and the greenside traps will ensure that this golf hole will play with more difficulty than it looks. With water to the left and bunkers to the front and back, this 163 metre par 3 will be a very strong test of golf to players of all levels. A gentle ridge running through the green from front to back will place an even higher premium on the tee shot. Coogee Sands Hotel and Apartments offers guests a relaxed beachside stay on one of Sydney's most sought after beachfront locations in Coogee. Known for its exceptional design and elegant style, Park Hyatt Sydney is seated majestically in the dress circle to one of the world's most glittering harbours. Park Hyatt Sydney is located in the historic Rocks district, just five minutes from the central business, cultural and shopping districts of Sydney. Star City offers first class luxury accommodation and all the action and excitement of Sydneys premier entertainment venue. 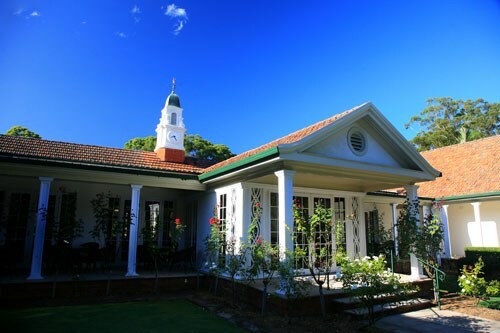 Their superb range of facilities & professional service will ensure your stay is truly enjoyable. 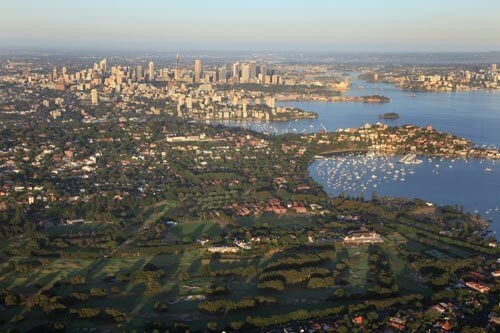 Sydney, NSW is known by many visitors to our shores as the host of the 2000 Summer Olympics. It is also well known for the Sydney Harbour Bridge, the Sydney Opera House and Sydney Harbour itself. Beyond all of this though lies a collection of great golf courses - all fairly well located relative to the centre of the city. 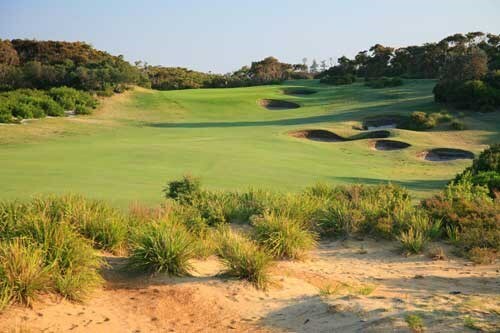 The extent of these courses is not as great as say the famous Melbourne Sandbelt however there are still a number of world class golf courses which are well worth playing. 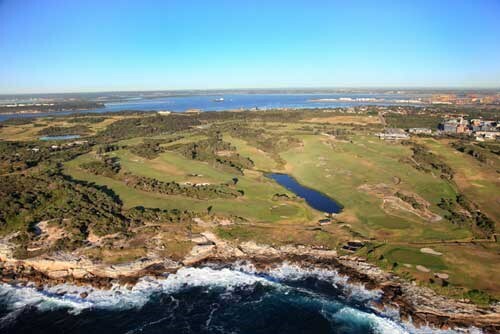 At the top of this list is the spectacular NSW Golf Club (La Perouse). 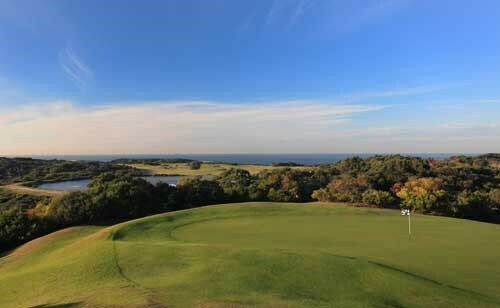 Located 25 minutes south of the city on an outcrop of land called La Perouse, NSW Golf Club offers the true golf lover a piece of just about everything. 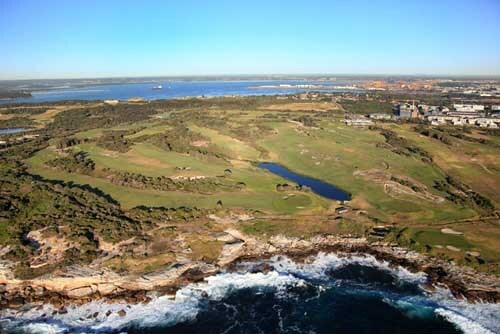 In addition to being beautifully scenic with ocean views on all but 5 of the holes, NSW combines a great variety in the style of holes (short, clever par 4's in addition to the testing par 3's and the four tough finishing holes) with a stately clubhouse overlooking the course. 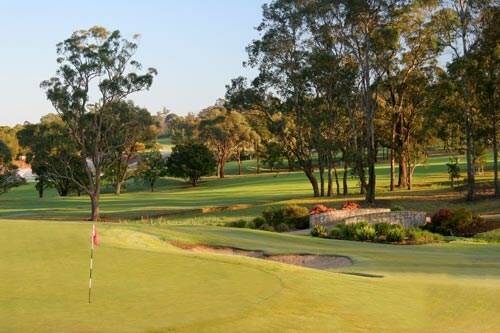 Another great feature of NSW Golf Club is that in the par 72 layout (combining 4 par 3 holes, 10 par 4's and 4 par 5's) each of the par 3 holes and par 5 holes plays in a different direction (N,S,E,W). What this means is that when you are standing on one of the par 5 holes (such as the 5th) and thinking "gee this is great the hole is playing downwind" your respite is short because later on in the round you can assured that another par 5 (in this case the 18th) will be playing back into the wind! 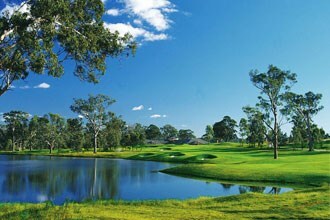 Just down the road from NSW Golf Club (about 15 minutes back towards the city) is the aptly named The Lakes Golf Club. As you would imagine with a name such as The Lakes the layout has a number of holes where water comes into play. 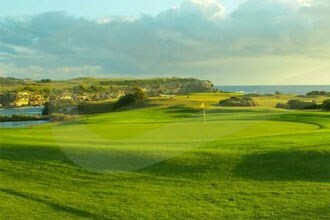 In fact the course presents 2 distinct sets of 9 holes. 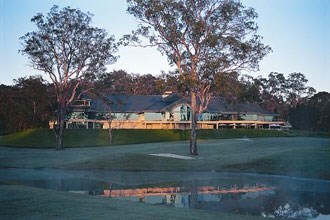 The front nine heads away from the clubhouse, under the busy Southern Cross Drive and into an area a fair distance from the clubhouse. The stretch of holes here are best described as parkland in nature with no real water hazards to contend with. It is on this nine that your score needs to be made. The 9th hole (a mid length par 3) heads back to the clubhouse. 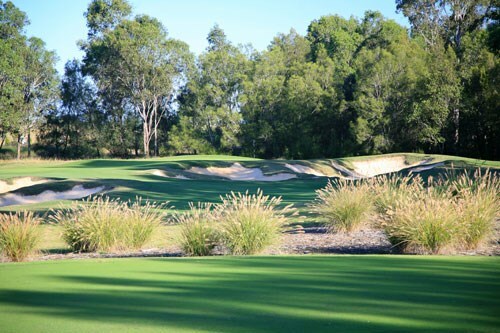 Located a short 5 minute drive from The Lakes another golf course worth playing (if you can get on) - The Australian Golf Club. Remodelled by Jack Nicklaus in the early 1980's the course is testing to say the least. The winds which exist at The Lakes are also present here and the testing par 3's, brutally long par 4's and challenging par 5's make for an interesting round. 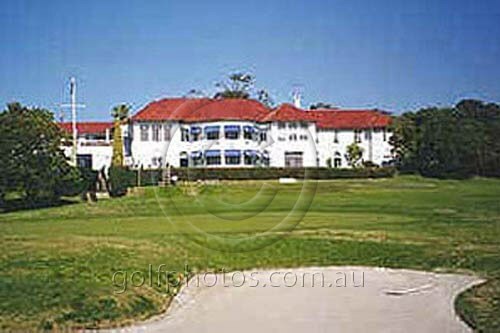 The Australian is an extremely private golf club which boasts amongst its members Australia's richest man Kerry Packer. 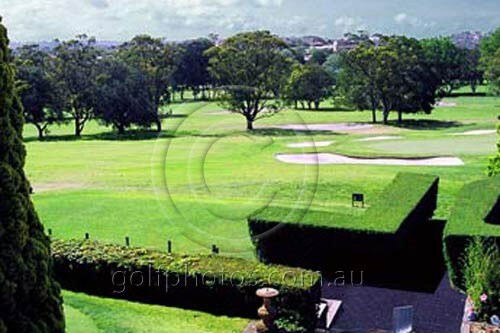 Another very private golf course which has hosted the Australian Open on a number of occasions is located in the expensive eastern suburbs of Sydney. Royal Sydney Golf Club is very much a parkland style golf course with a clever combination of short and long par 4's as its main feature. 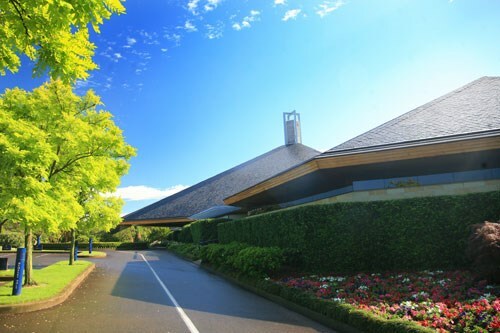 The imposing clubhouse watches over the course and the 5,000 members enjoy the 18 hole championship golf course, the 9 hole executive course, numerous tennis courts and first class dining facilities. 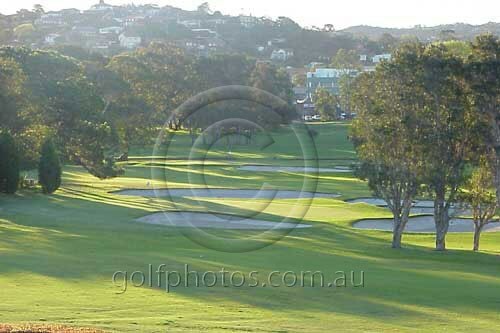 A wide selection of other golf courses exist in Sydney and offer varying styles of golf. 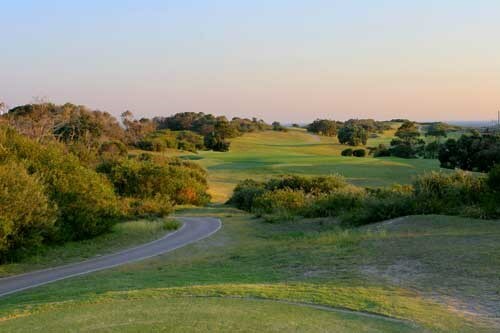 St. Michaels Golf Club is a neighbour to NSW Golf Club and, whilst not offering the same absolute oceanfront holes of its neighbour, is a course well worth experiencing. Just down the road en route to Sydney Airport is Bonnie Doon Golf Club whose Scottish name gives you a small taste of what is to come. 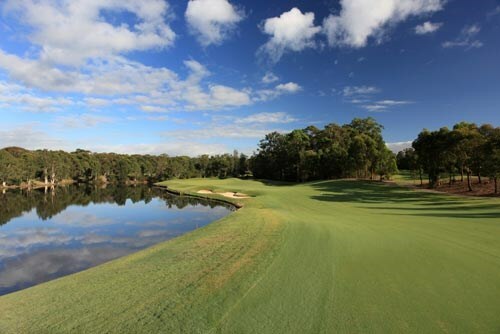 The Northern shores of Sydney offer more quality golf including the private members courses at Castle Hill Country Club, Avondale and Pymble who accept visiting Interstate and Overseas visitors. Heading west the relatively young Twin Creeks Golf & Country Club offers immaculate playing surfaces and a challenging layout. 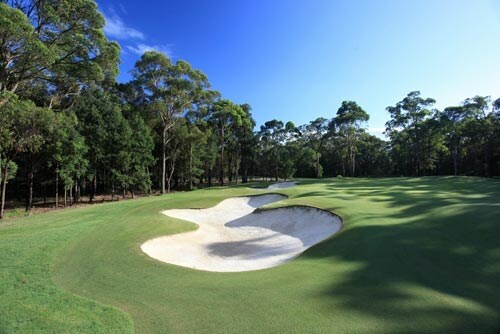 If you have the time head about 2 hours north of Sydney and play Newcastle Golf Club, a delightful course which has many overseas critics raving about how good it is. The layout is very interesting combining a series of well matched holes into a testing round of 18 holes. 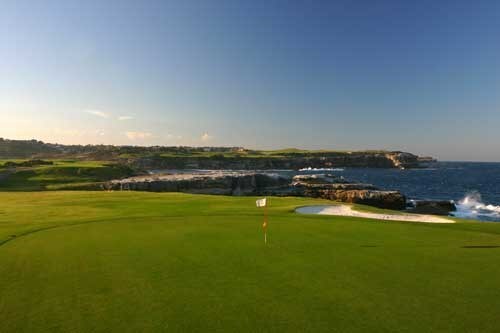 You can easily spend a week in Sydney playing a different golf course each day and still have not played them all. But what about the sightseeing? Well for a whirlwind tour go to Sydney Harbour, take a ferry to Manly, eat some seafood and return for a short stroll through The Rocks. Pop into Darling Harbour at night, choose a restaurant at Cockle Bay and just enjoy yourself! 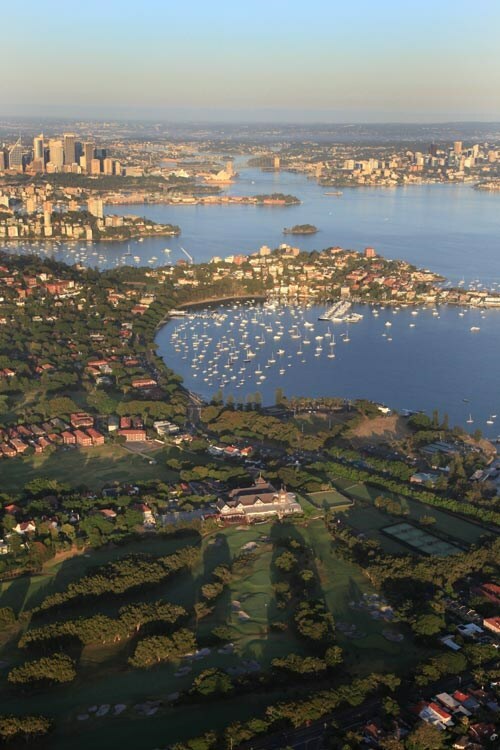 Below are some useful facts and figures for the Sydney Region. Use these to work out the best time to visit this region.